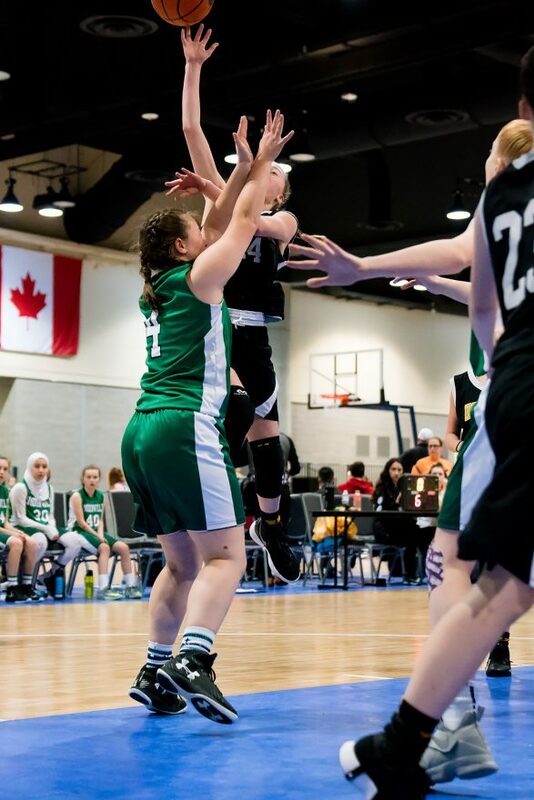 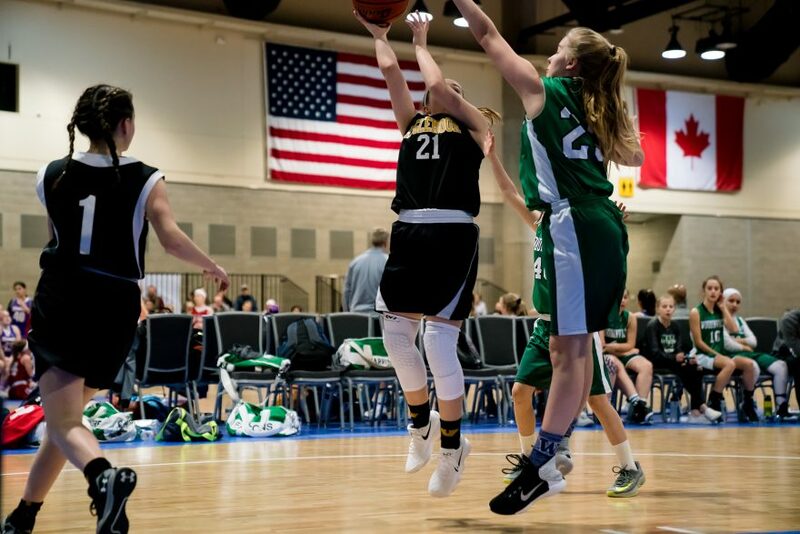 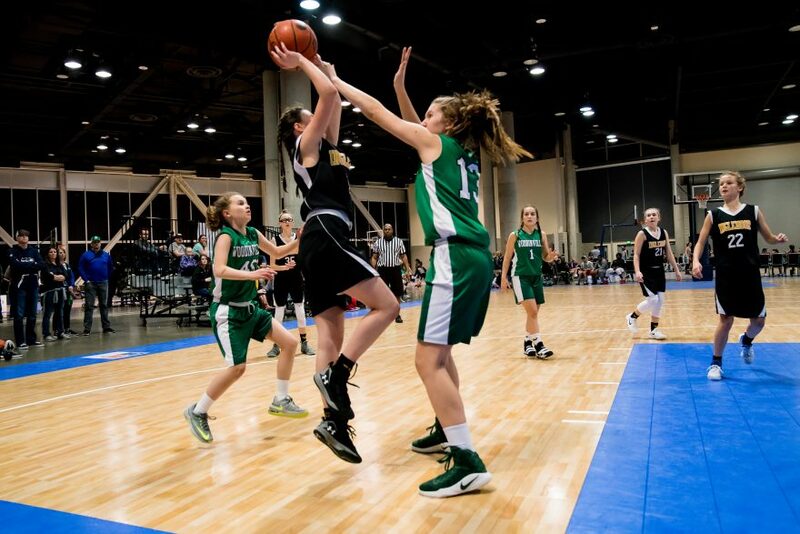 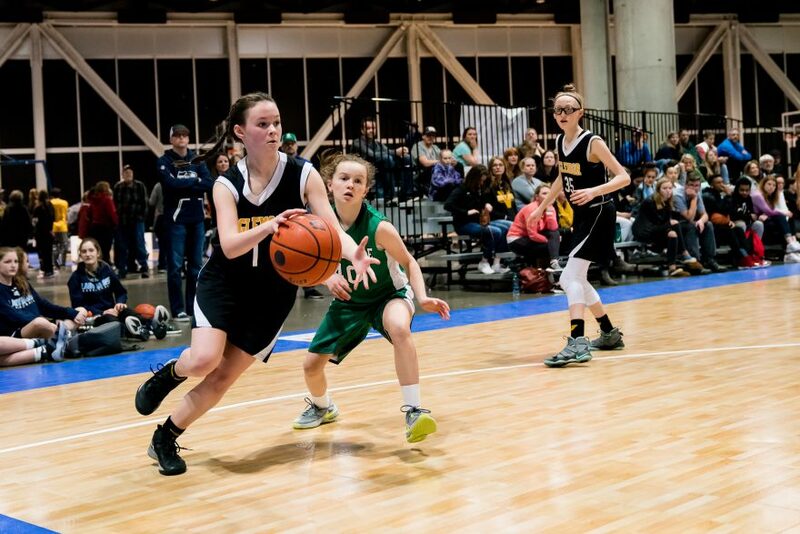 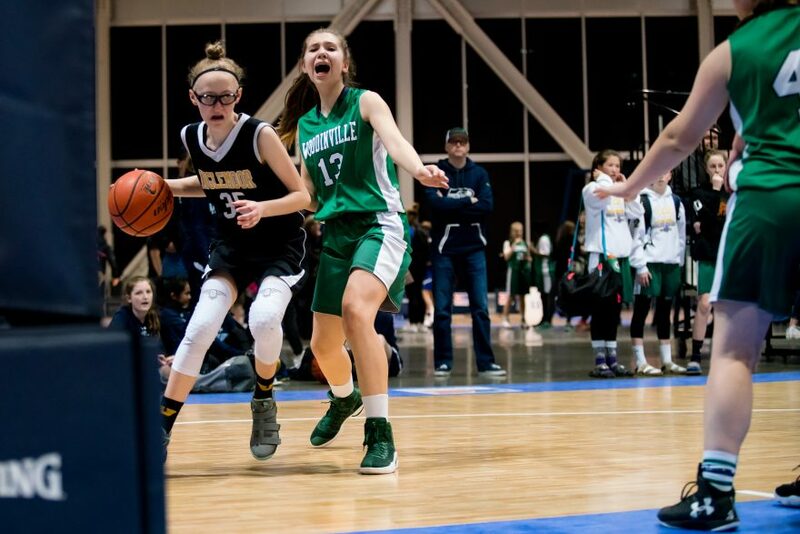 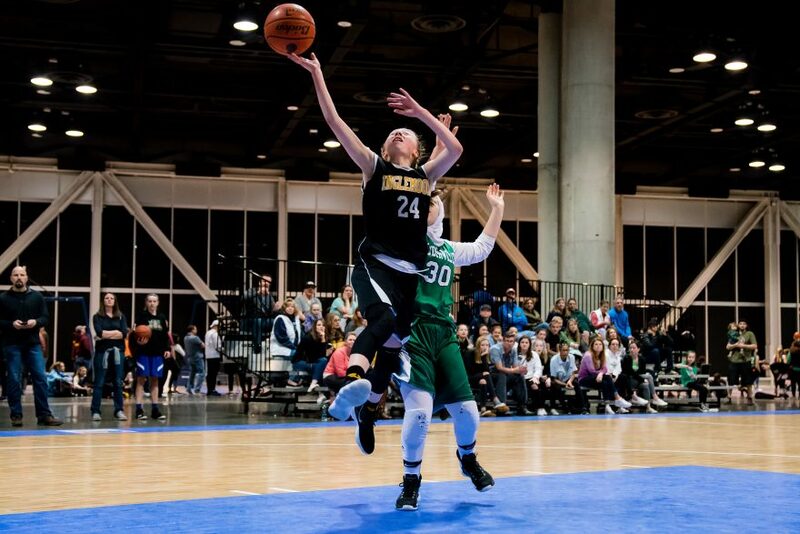 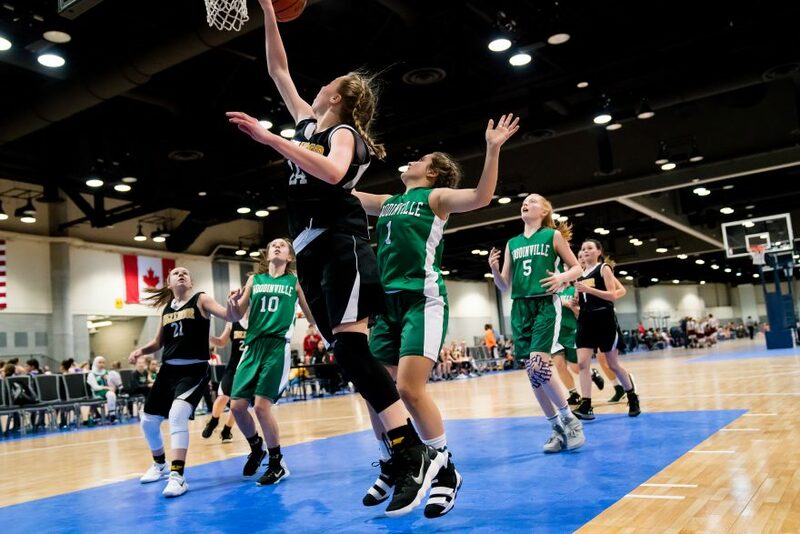 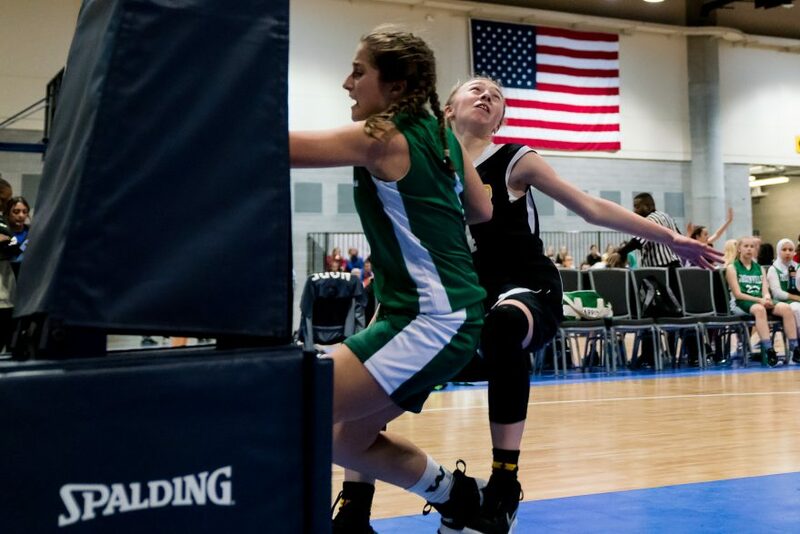 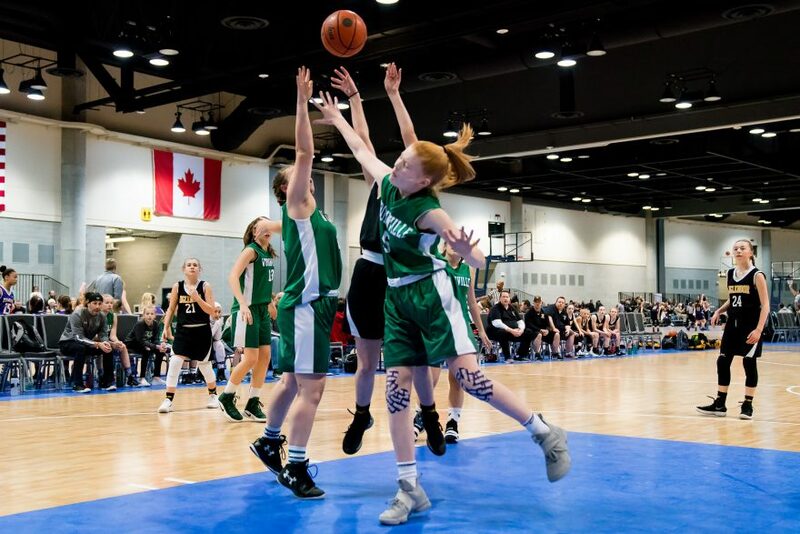 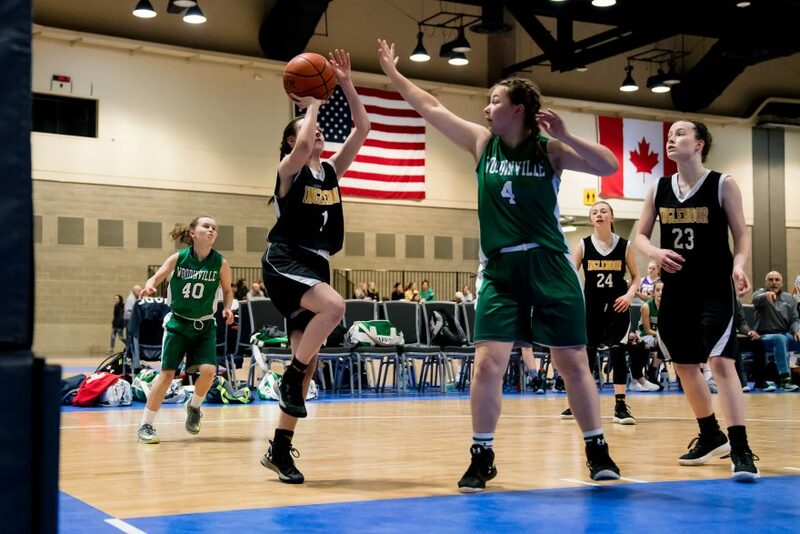 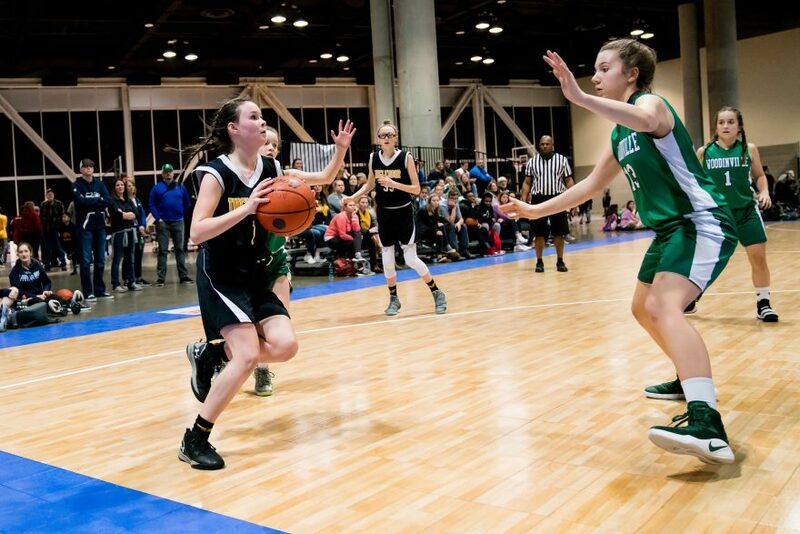 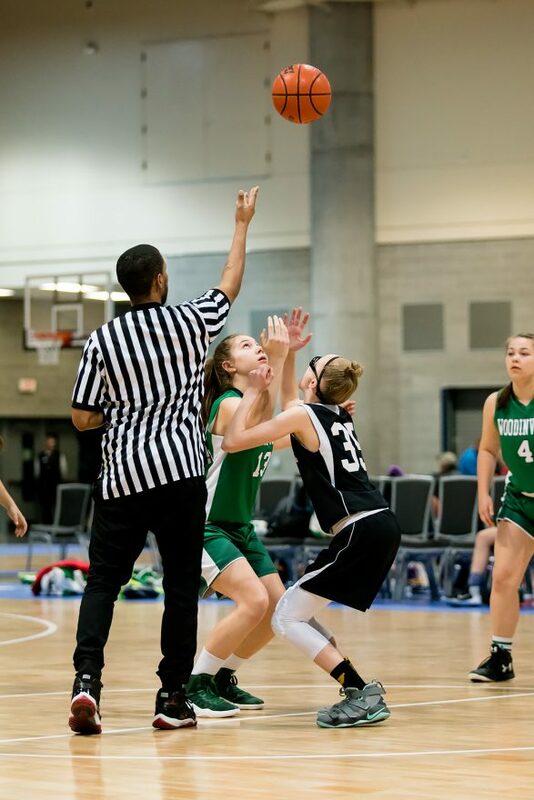 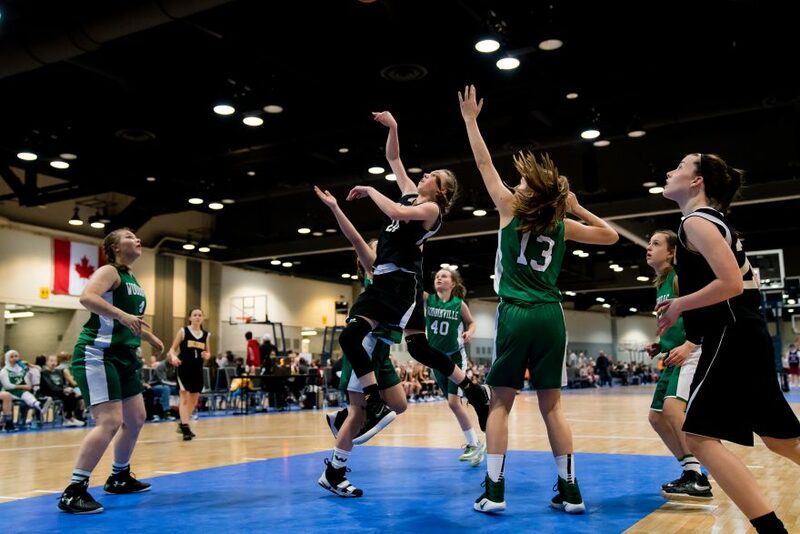 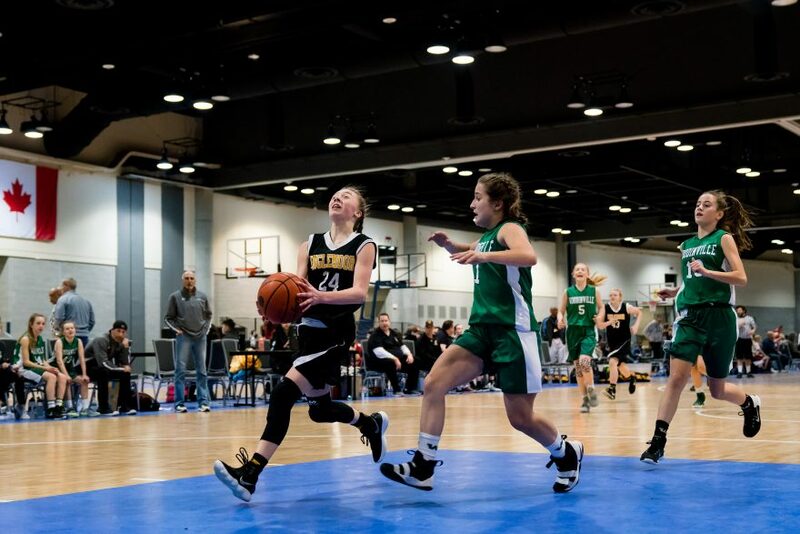 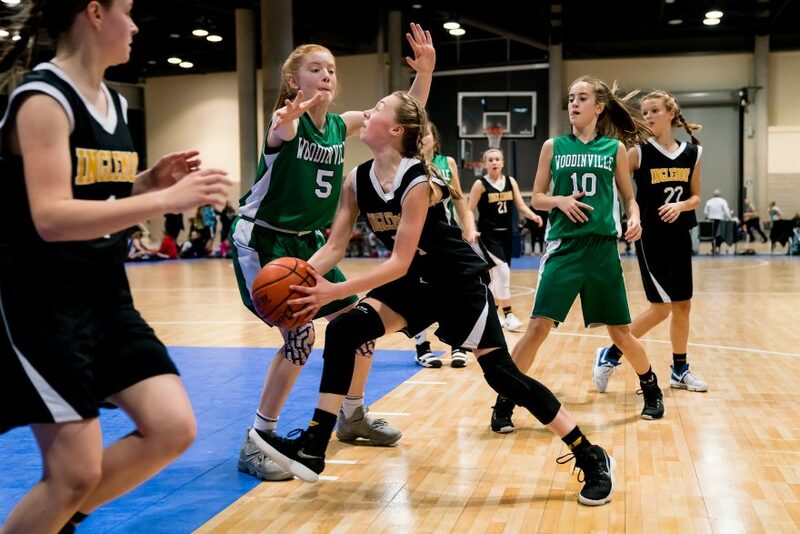 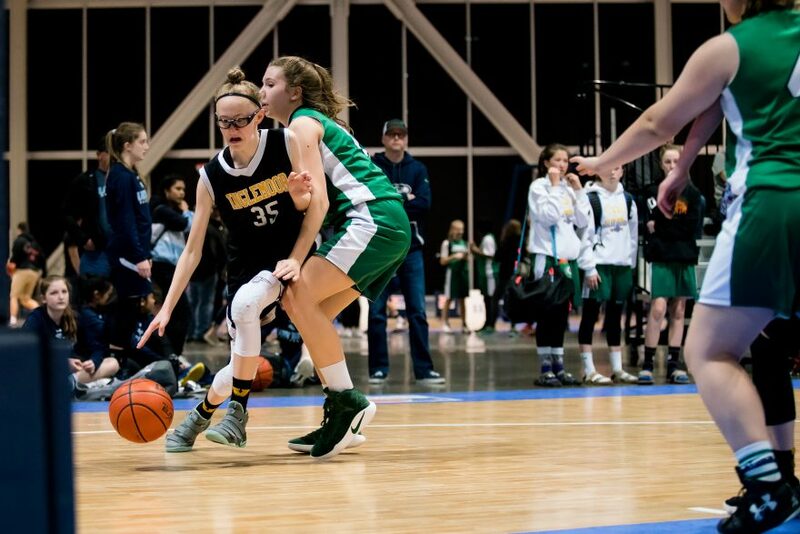 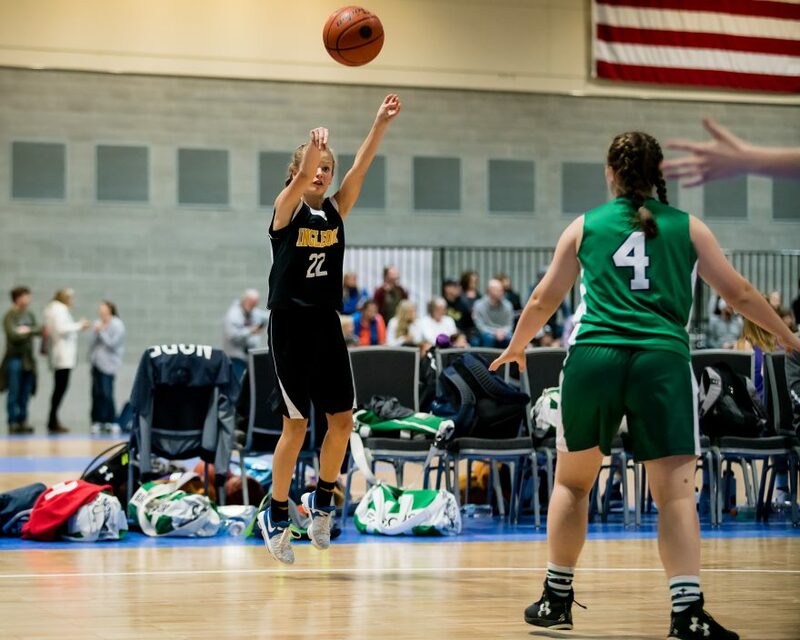 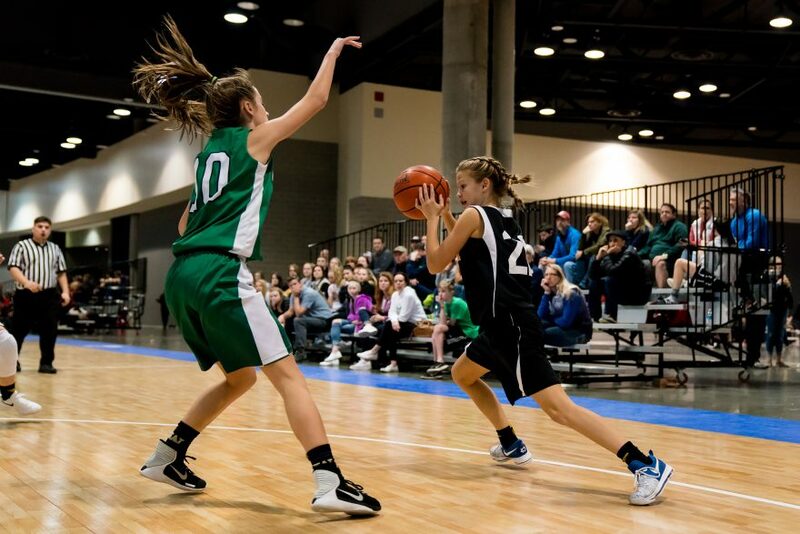 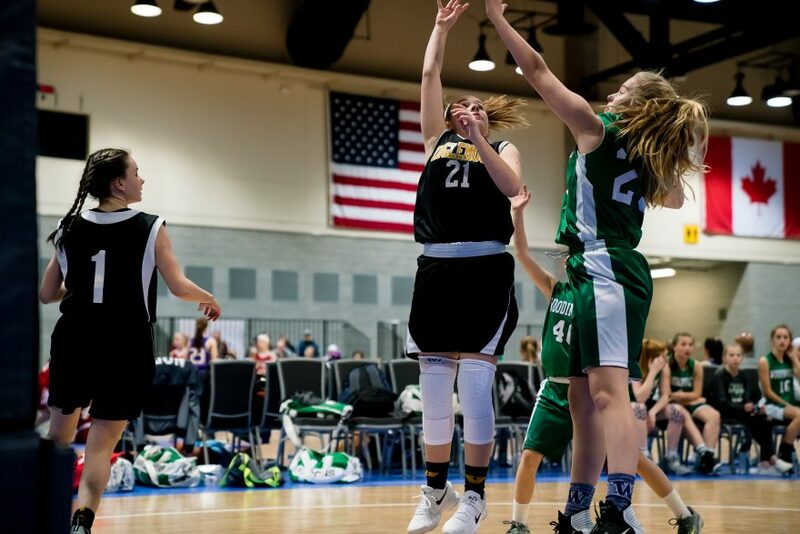 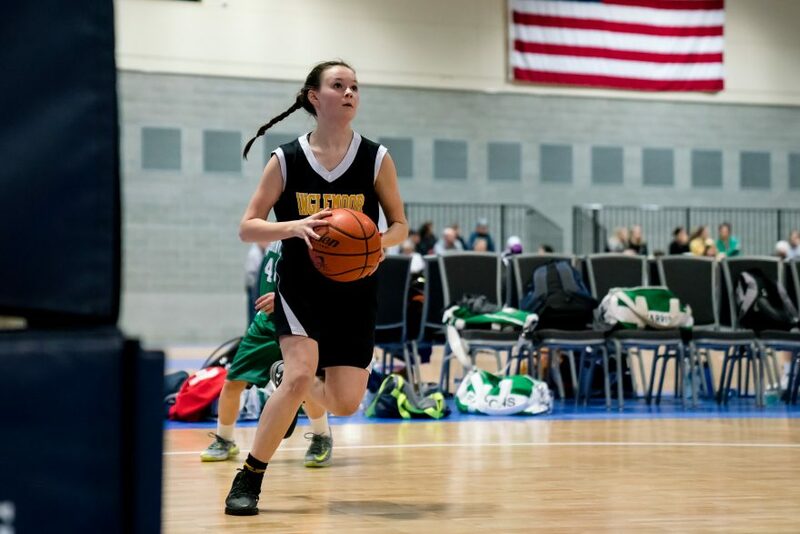 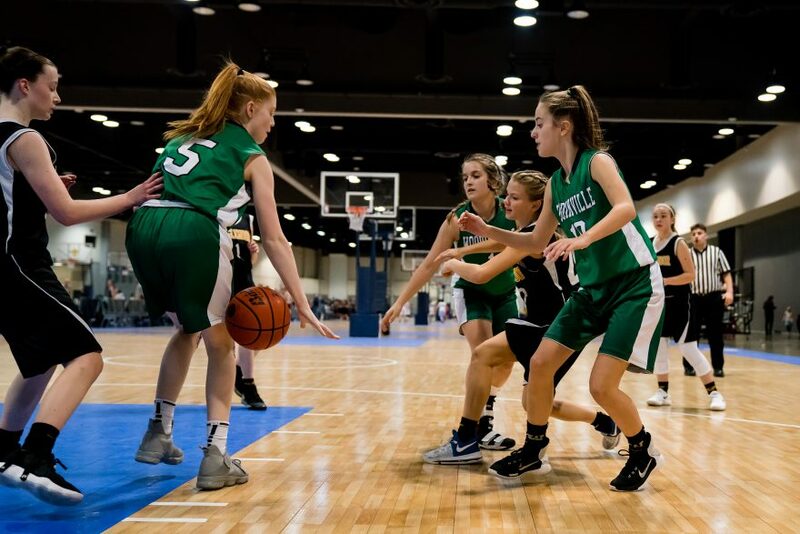 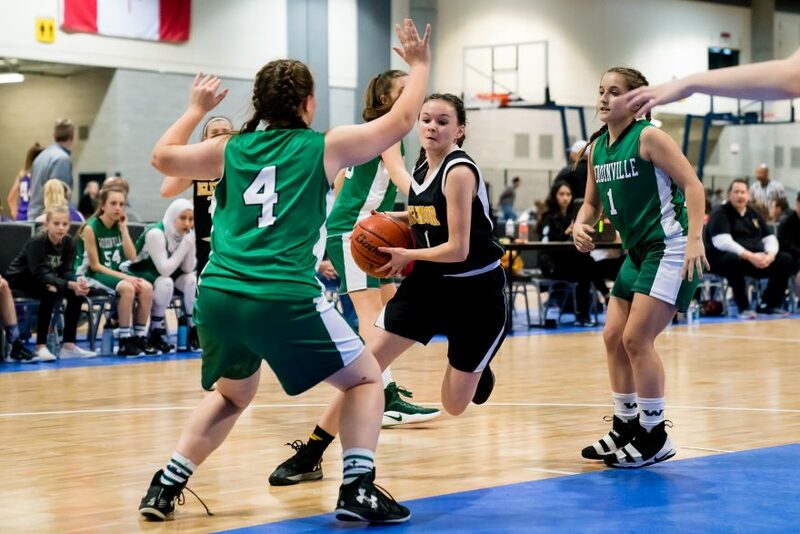 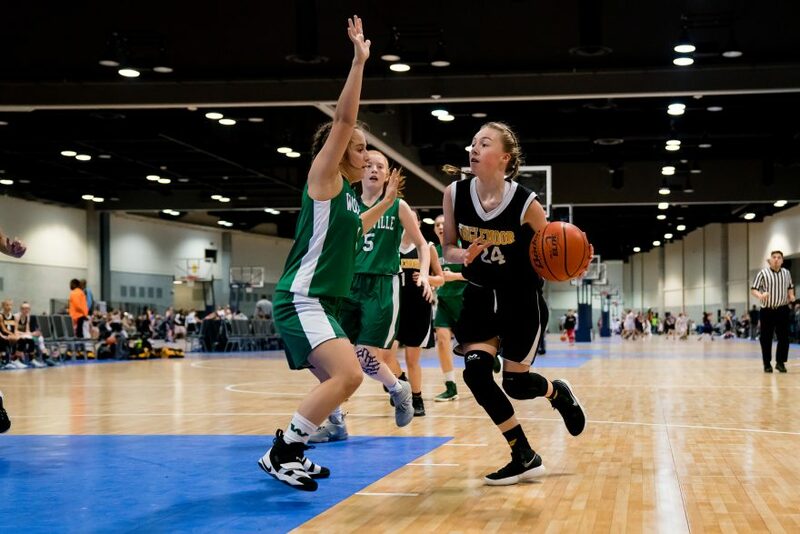 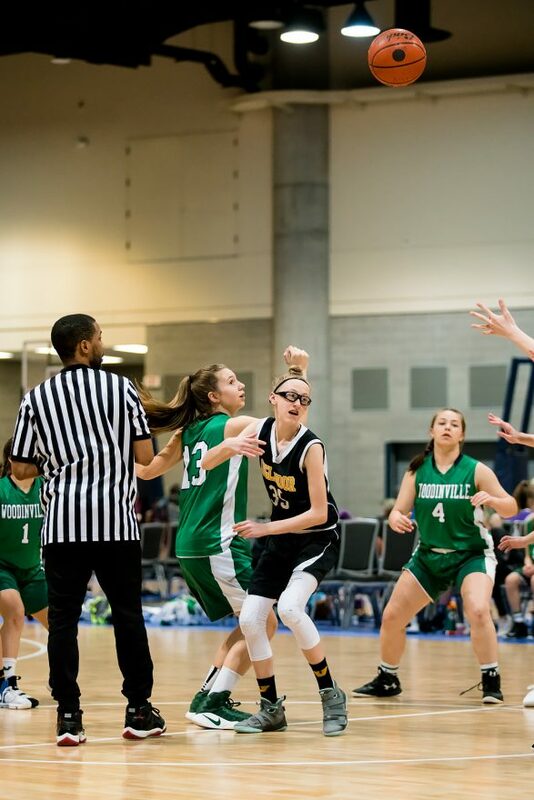 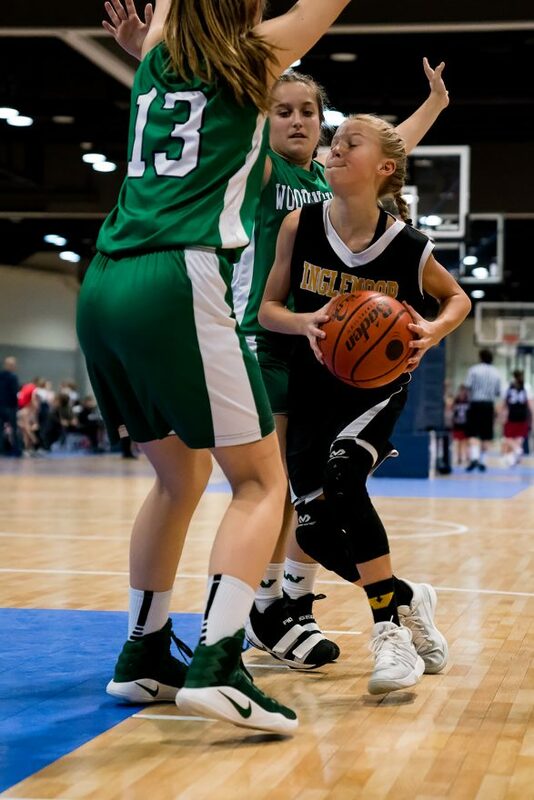 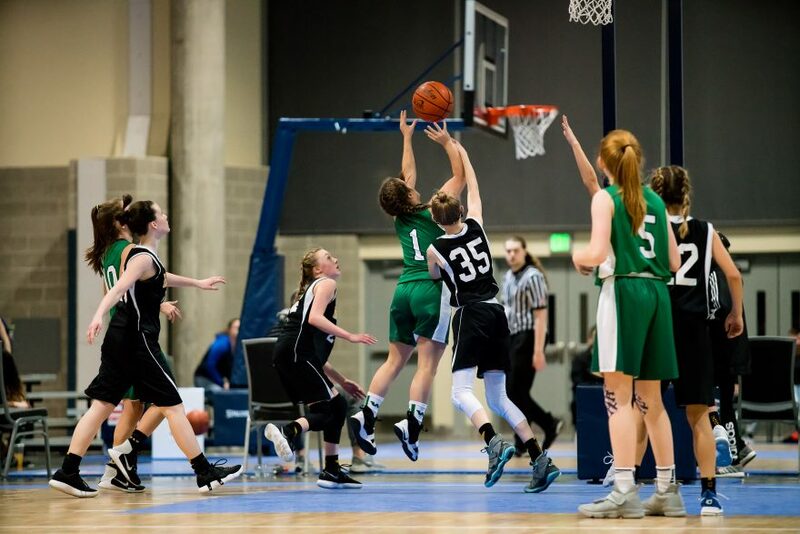 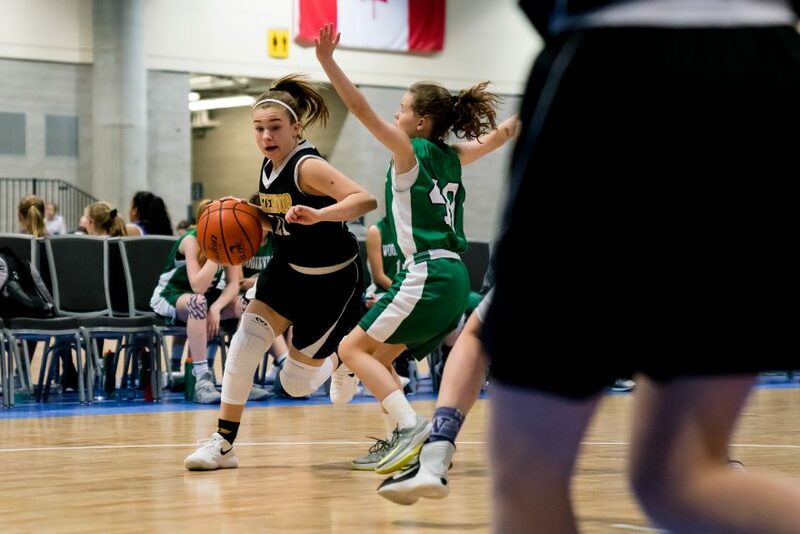 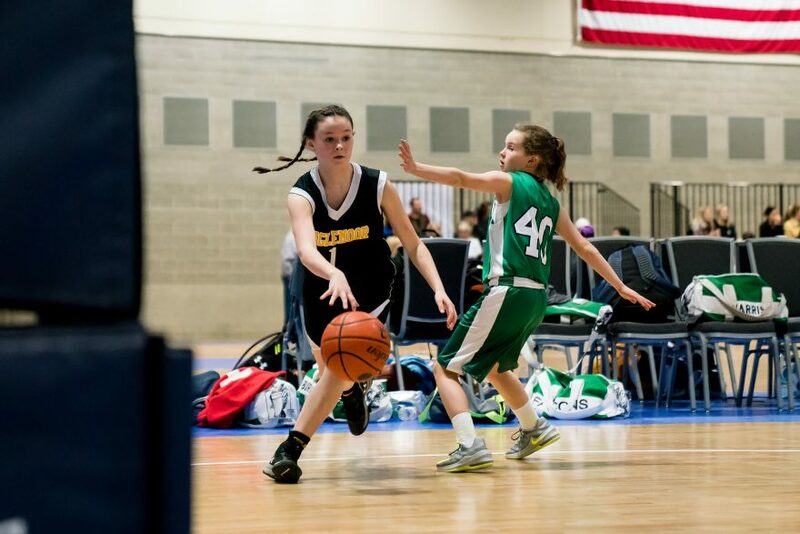 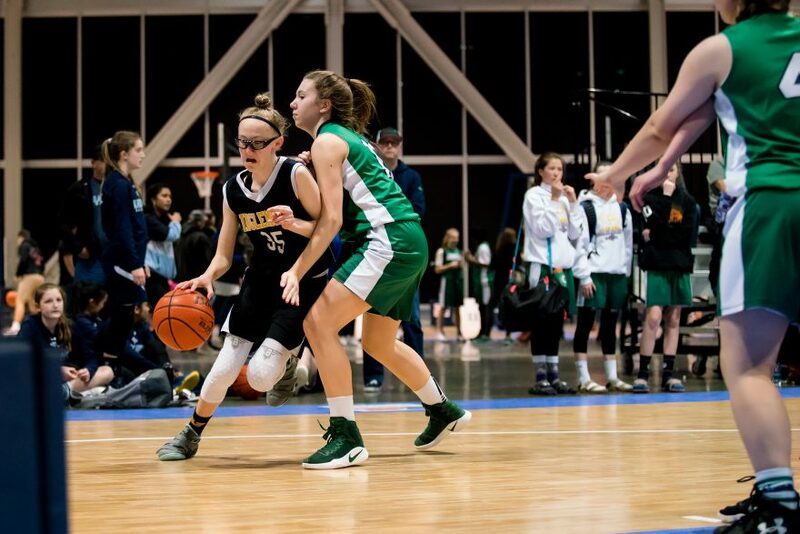 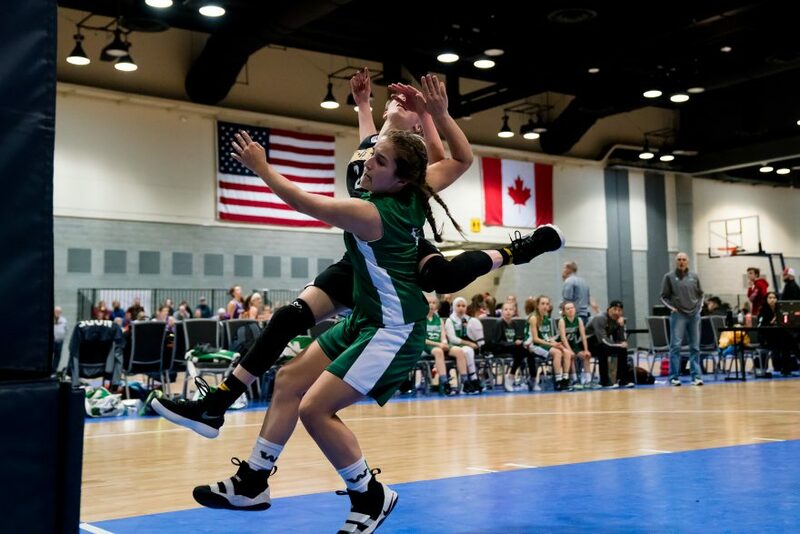 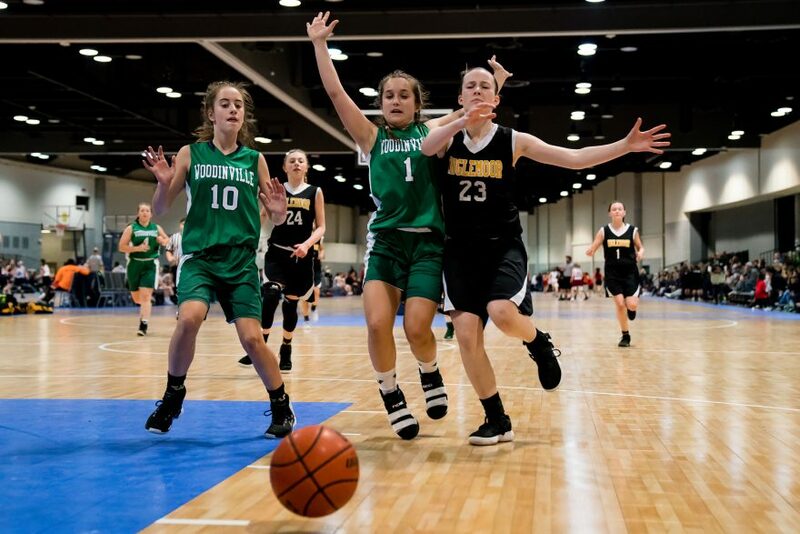 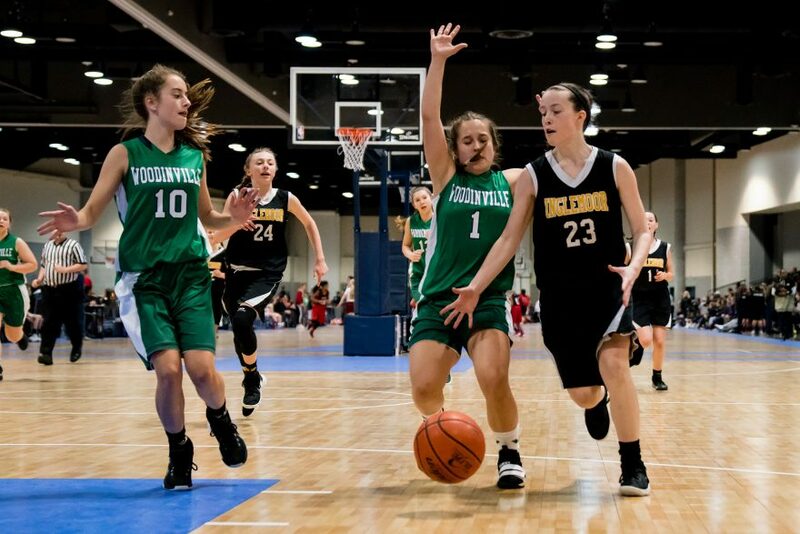 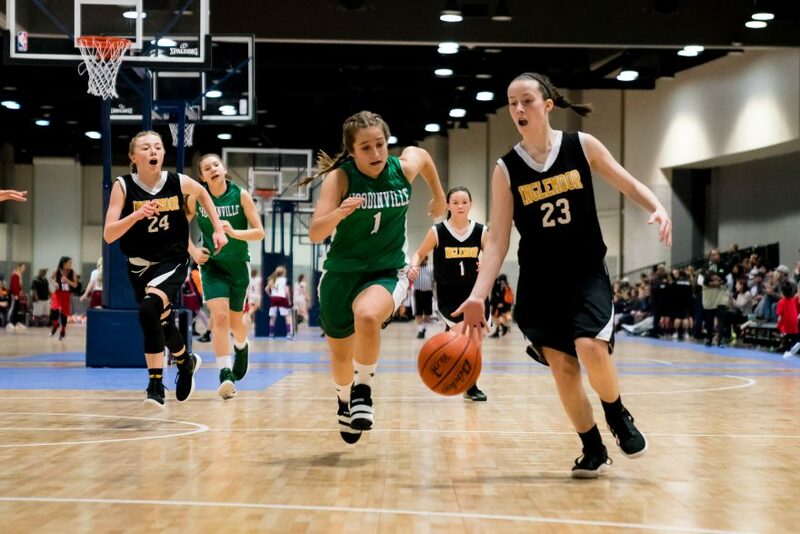 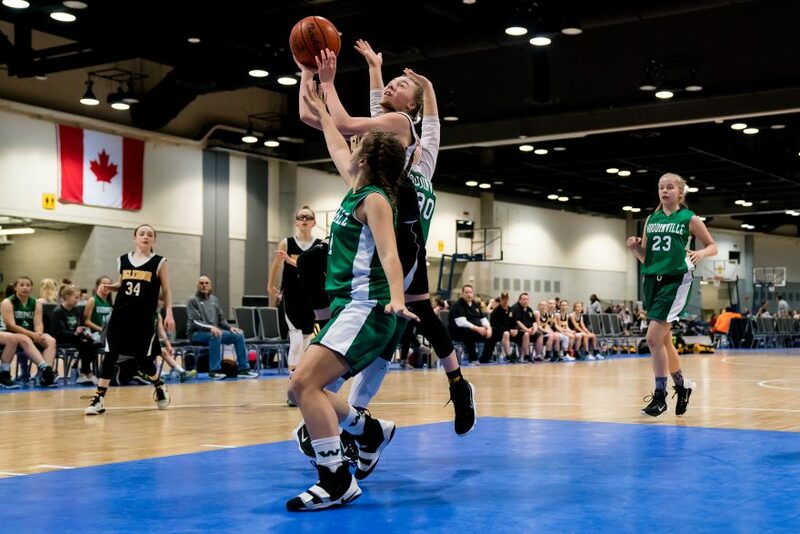 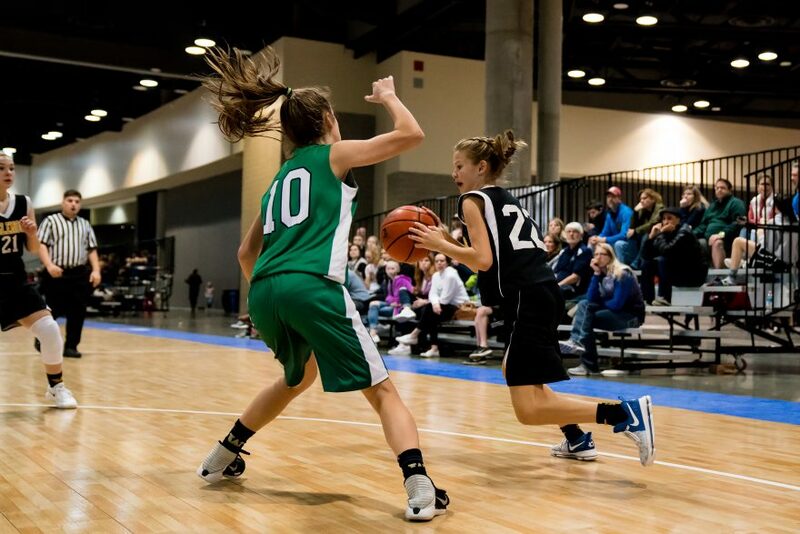 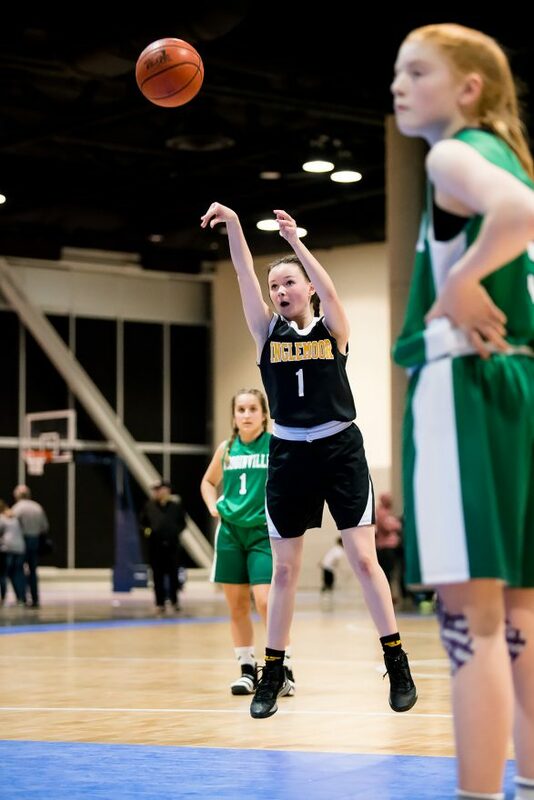 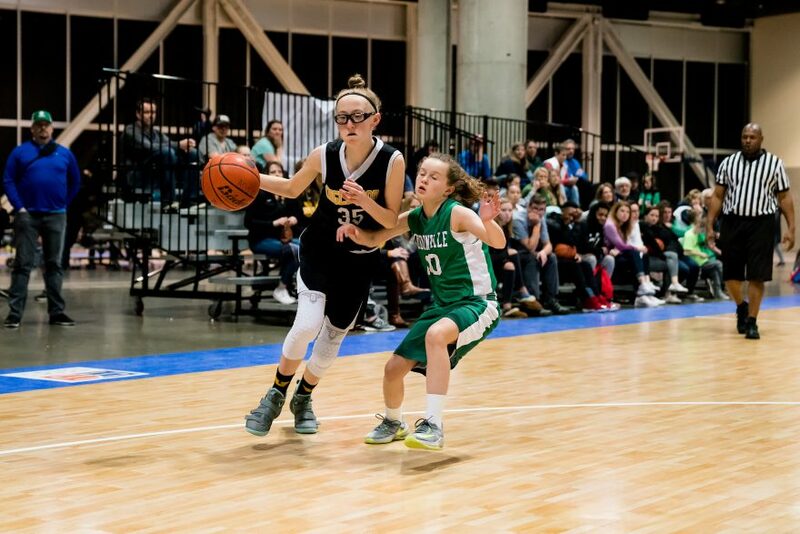 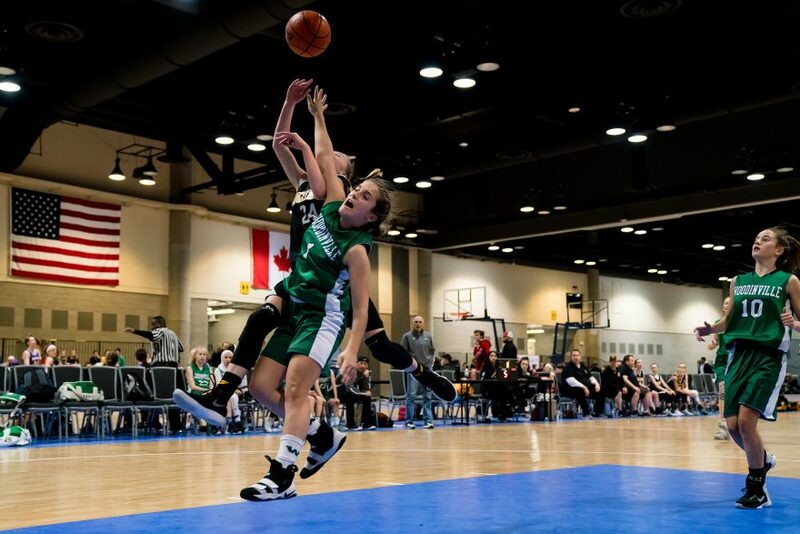 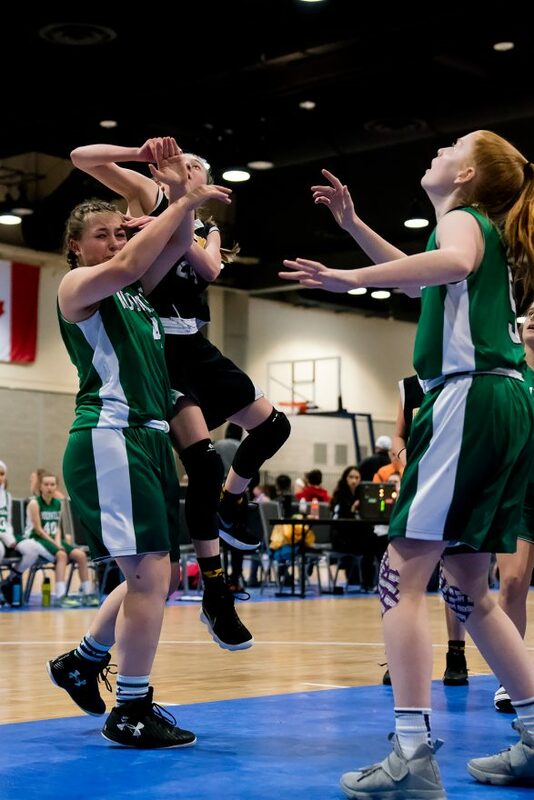 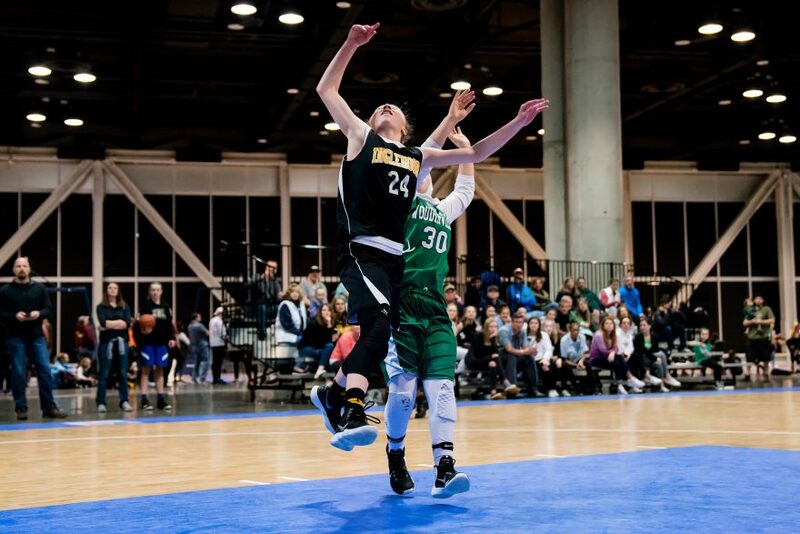 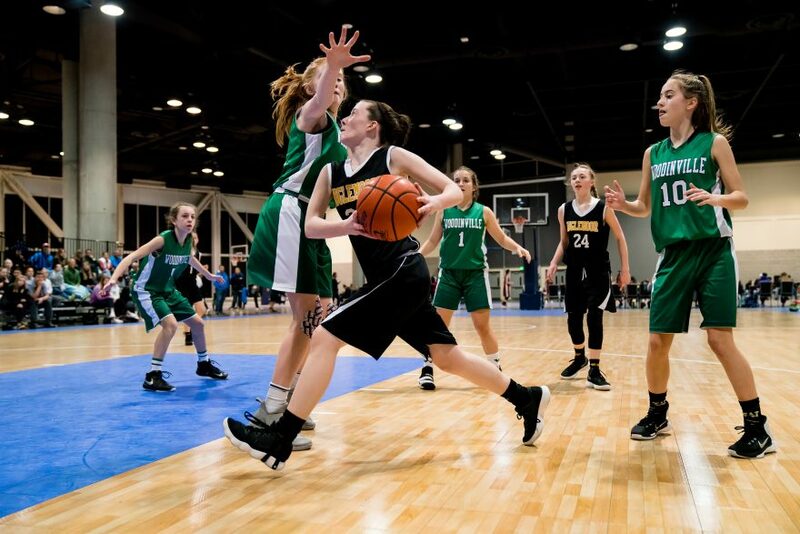 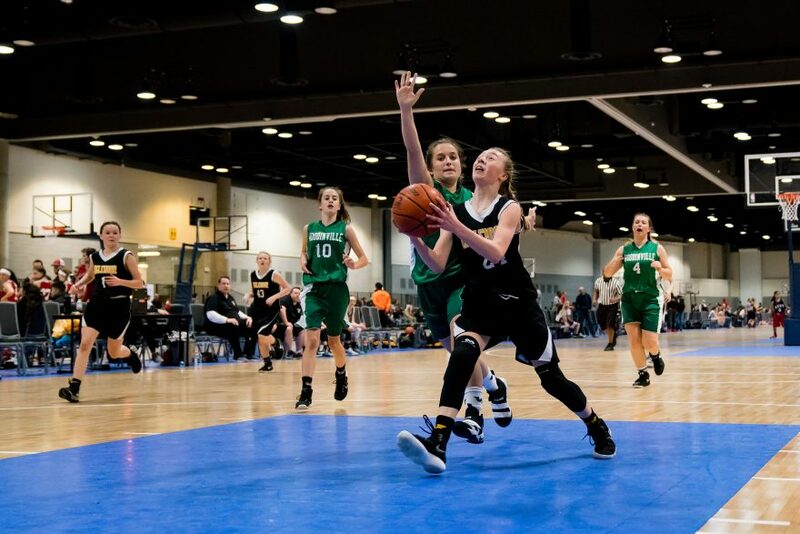 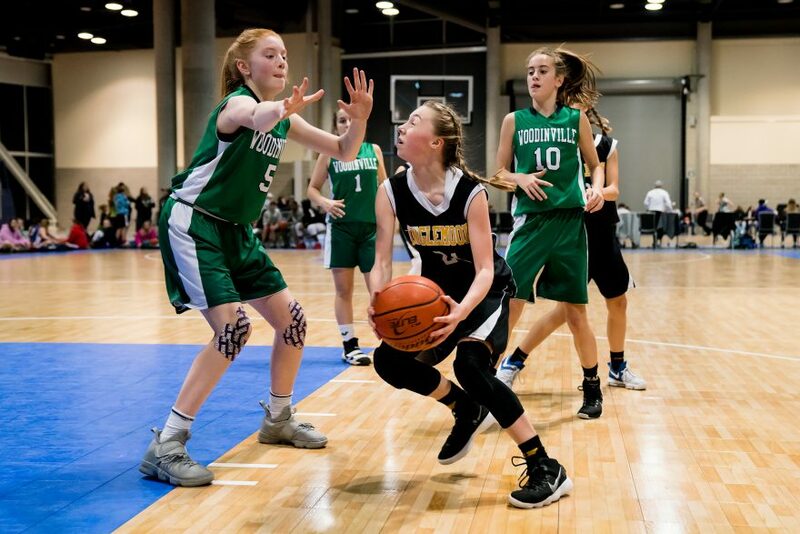 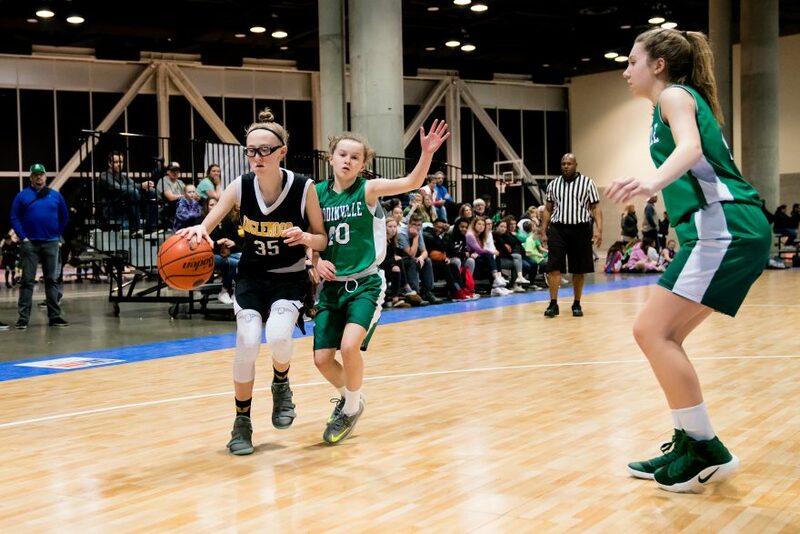 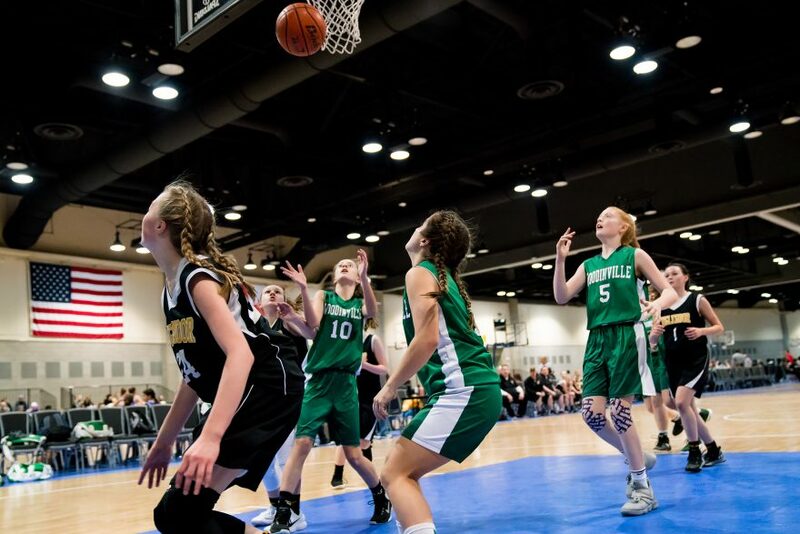 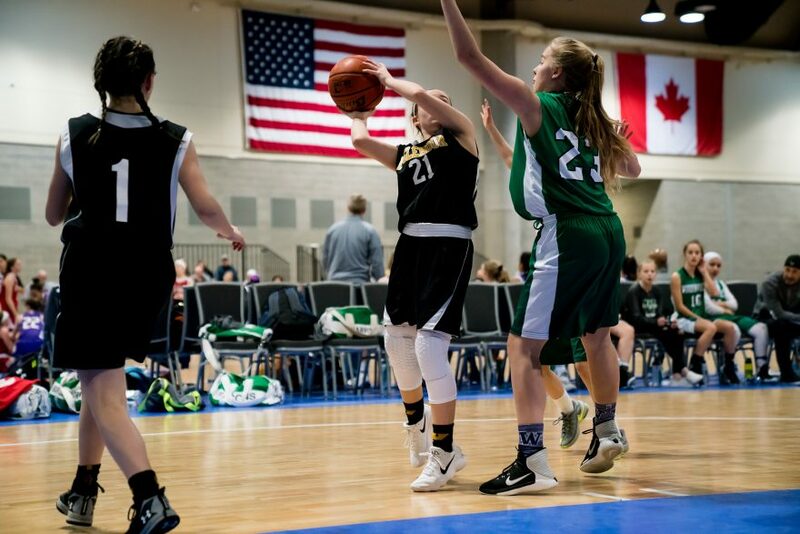 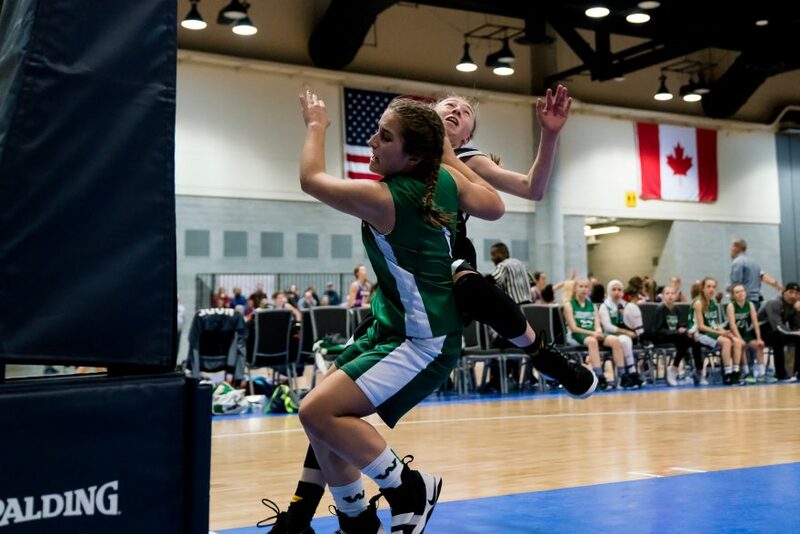 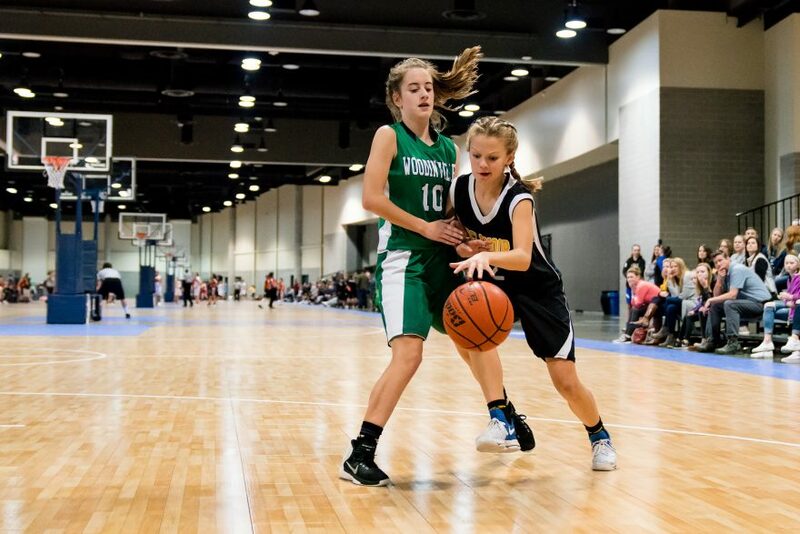 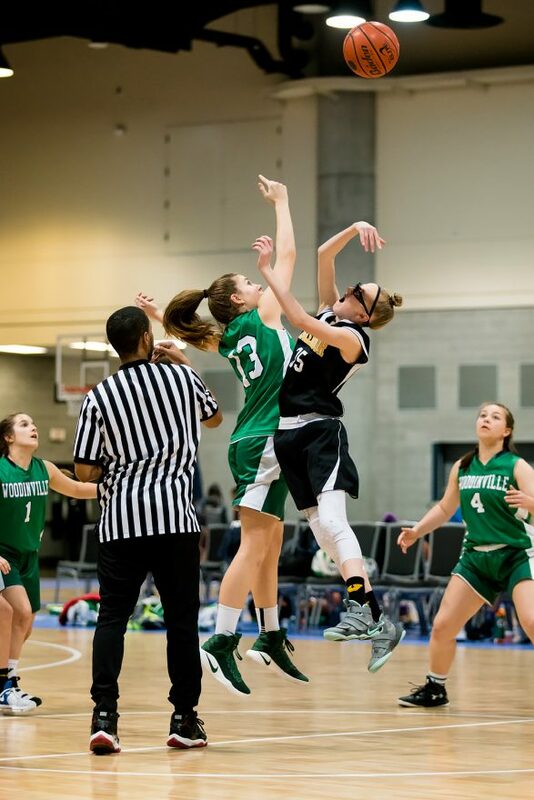 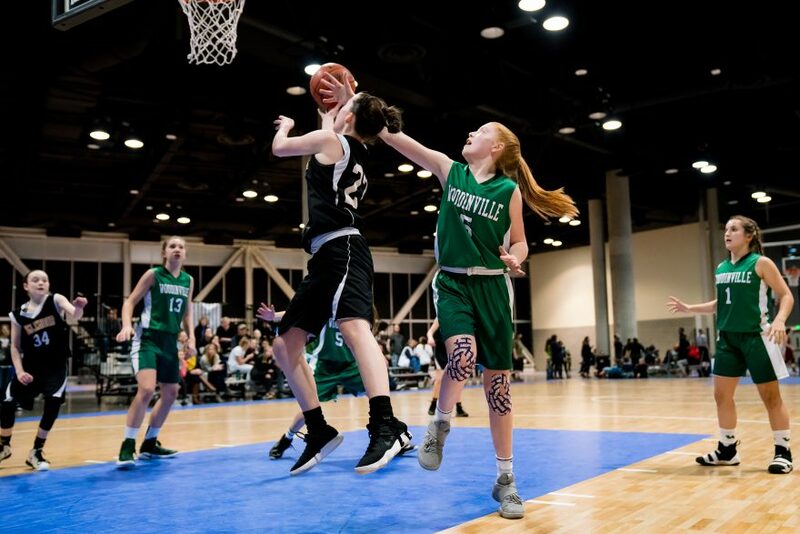 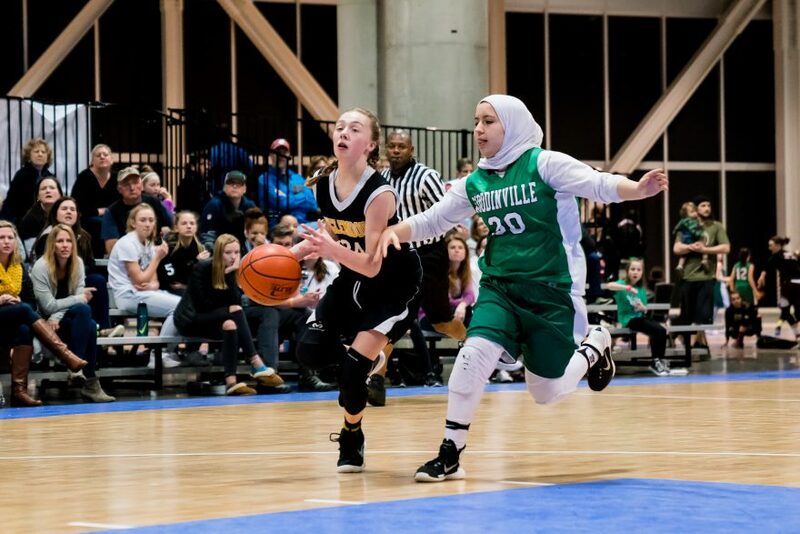 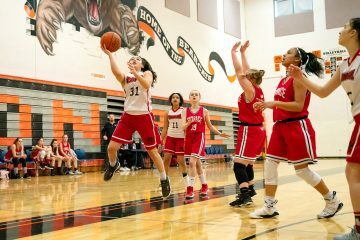 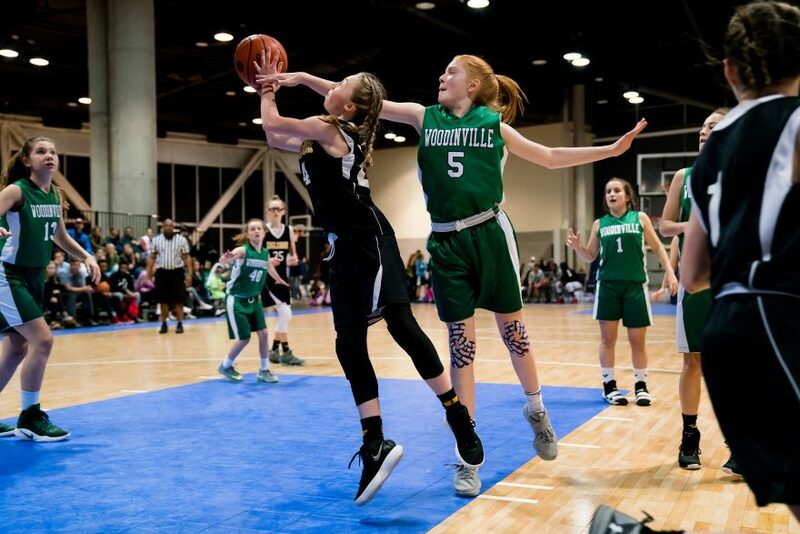 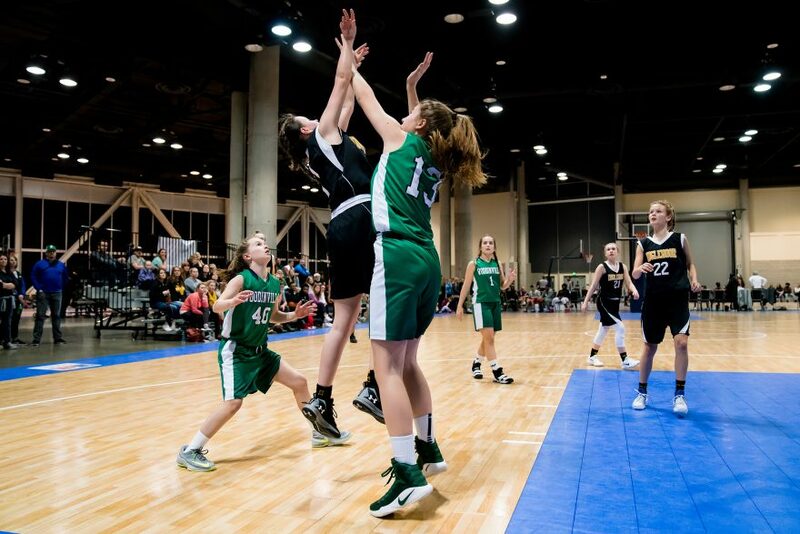 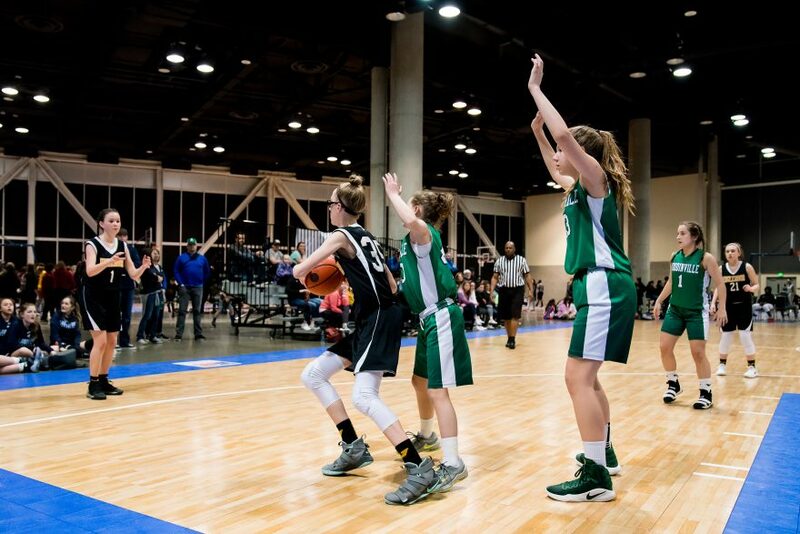 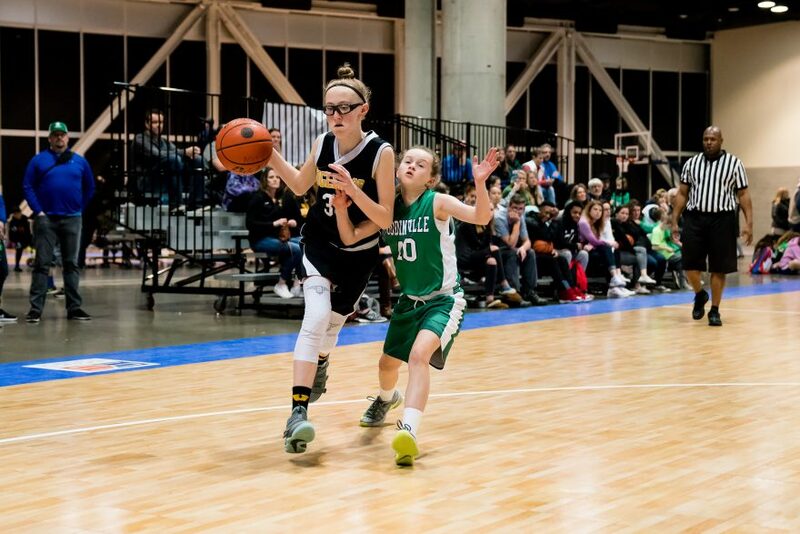 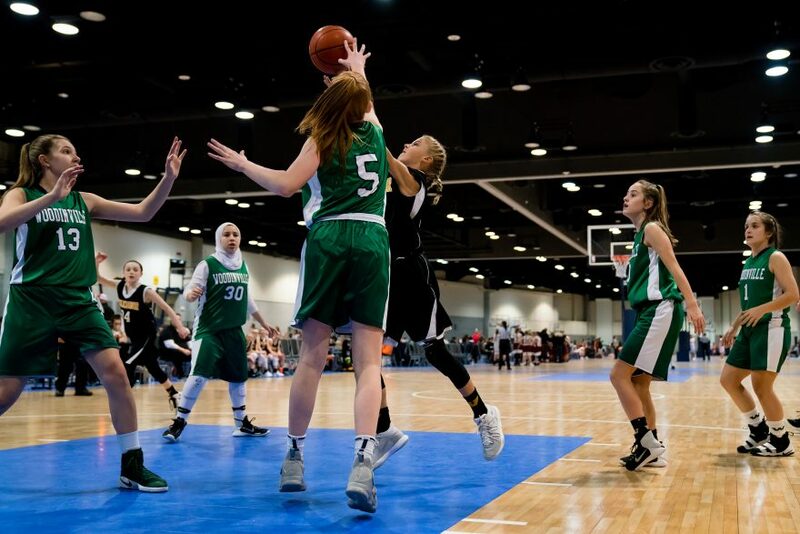 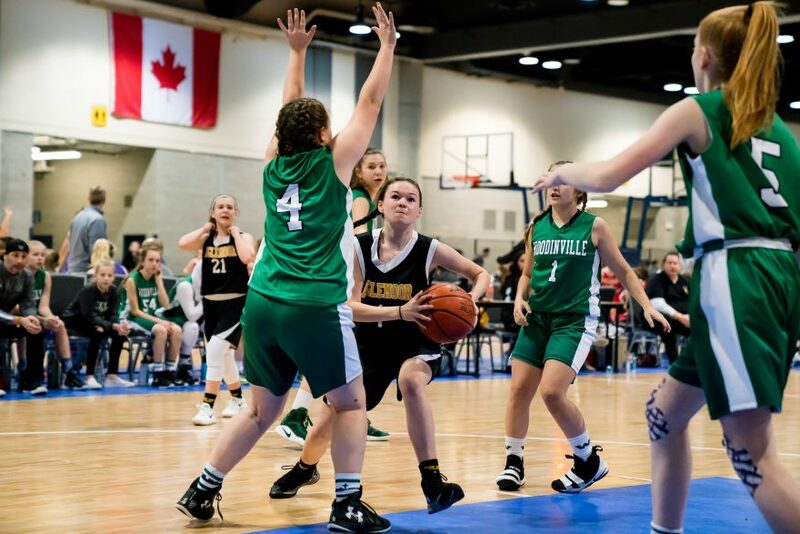 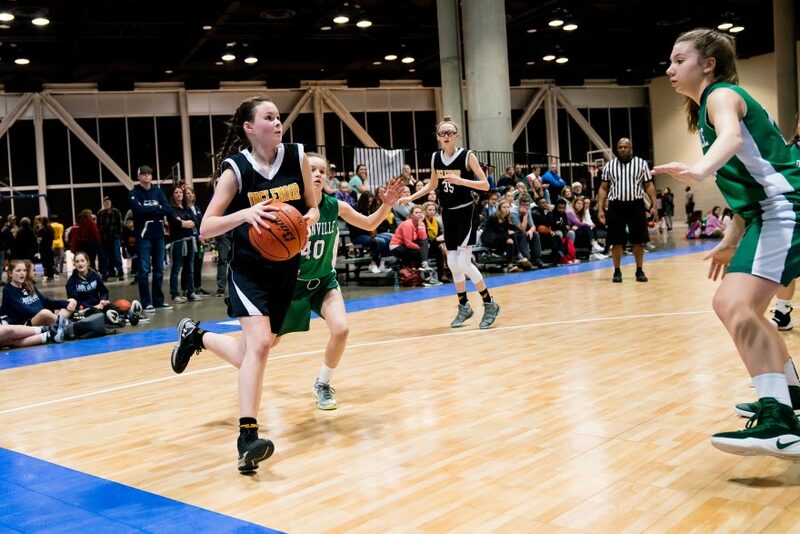 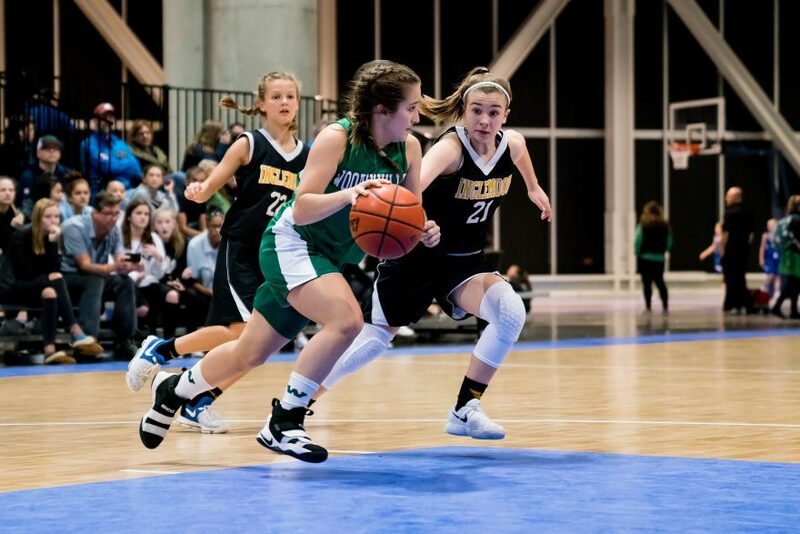 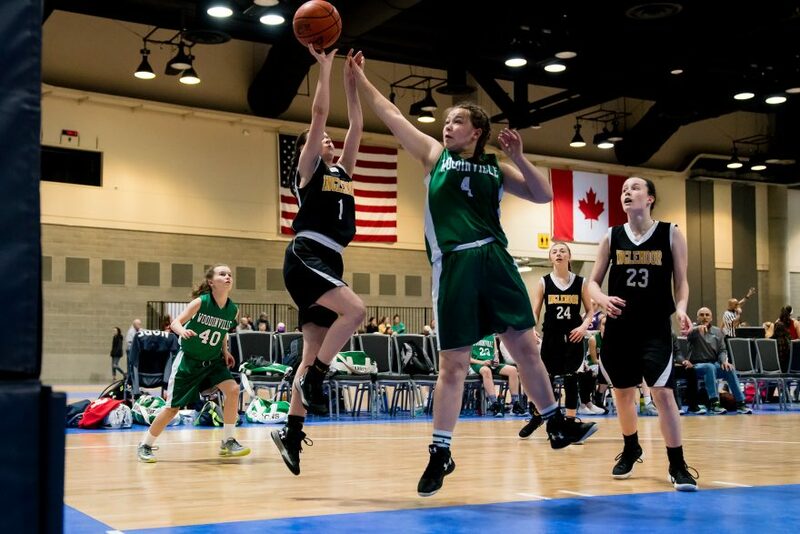 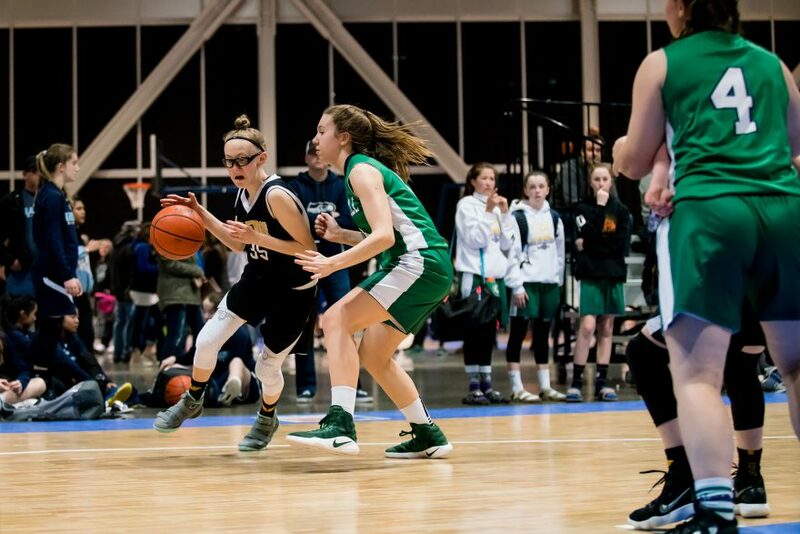 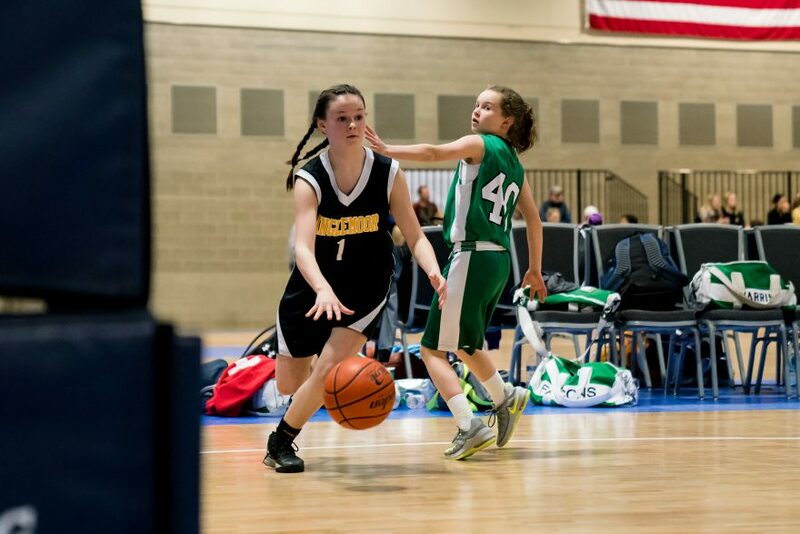 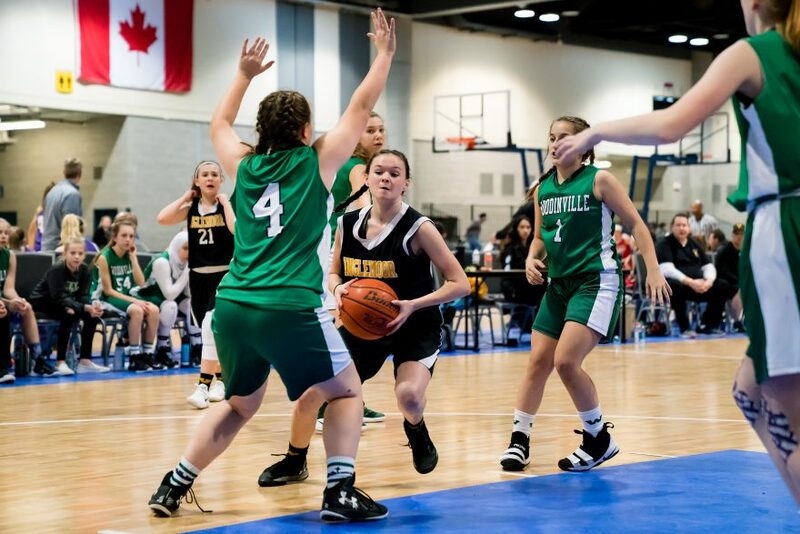 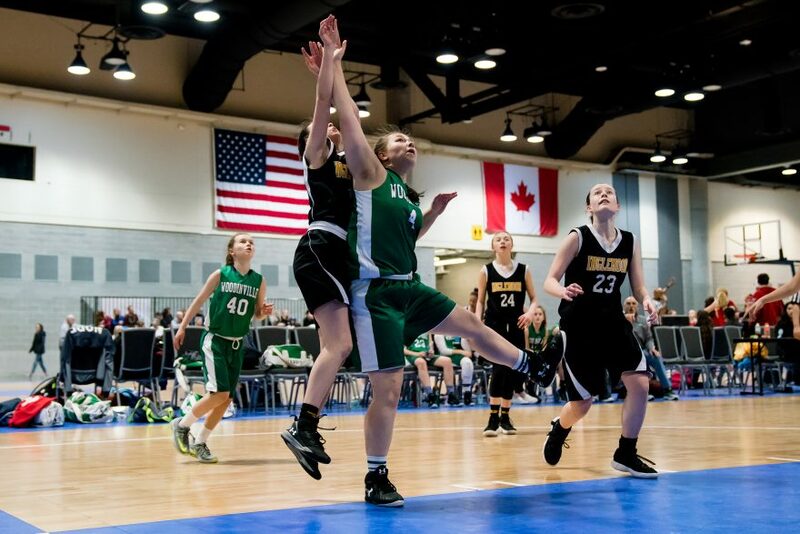 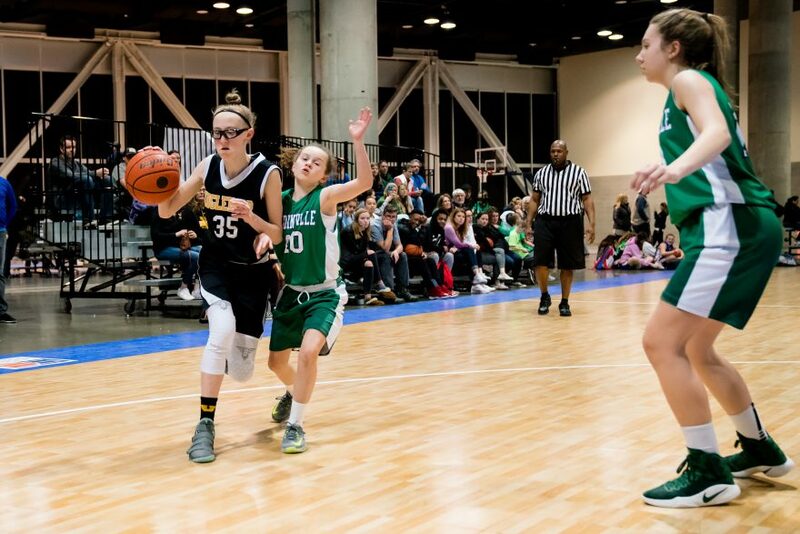 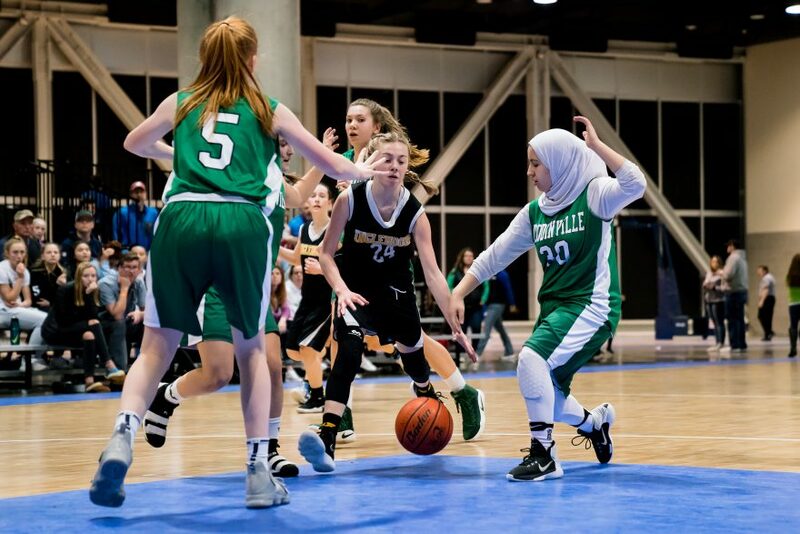 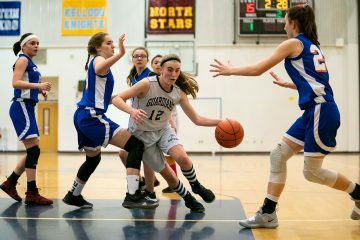 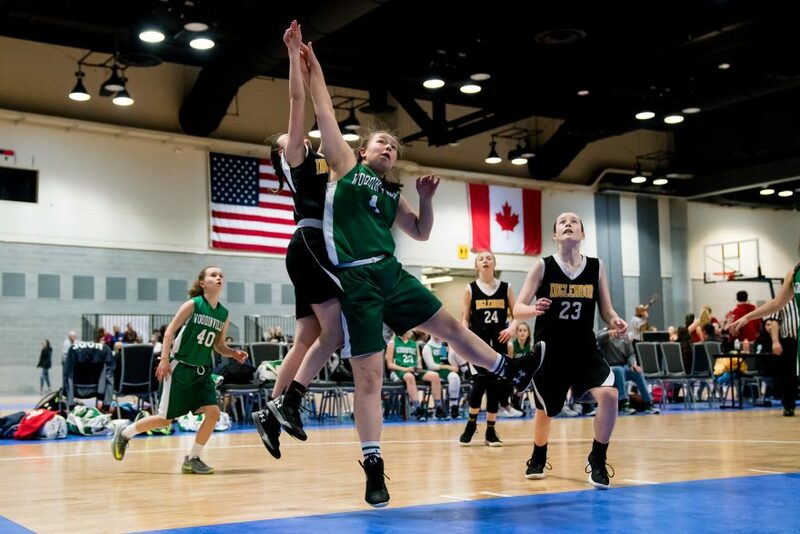 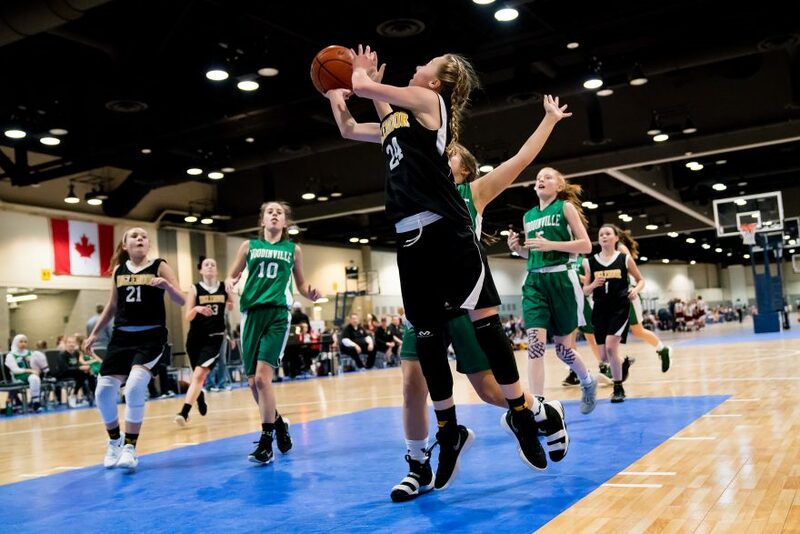 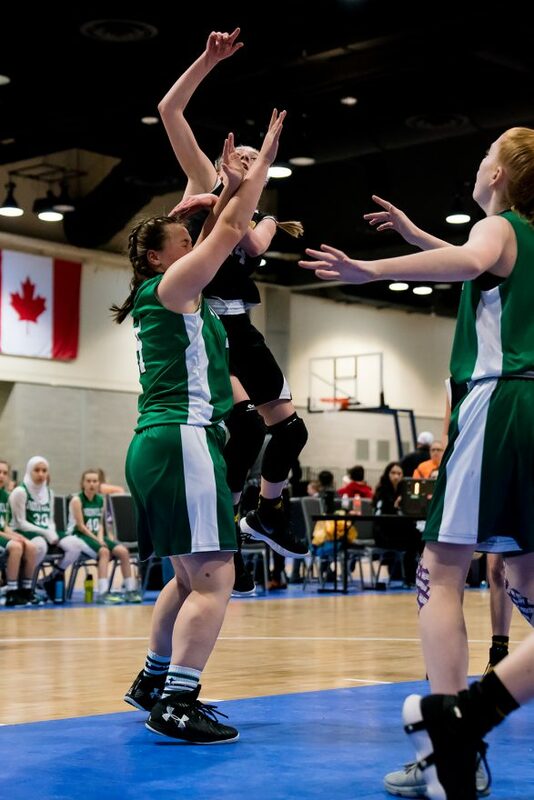 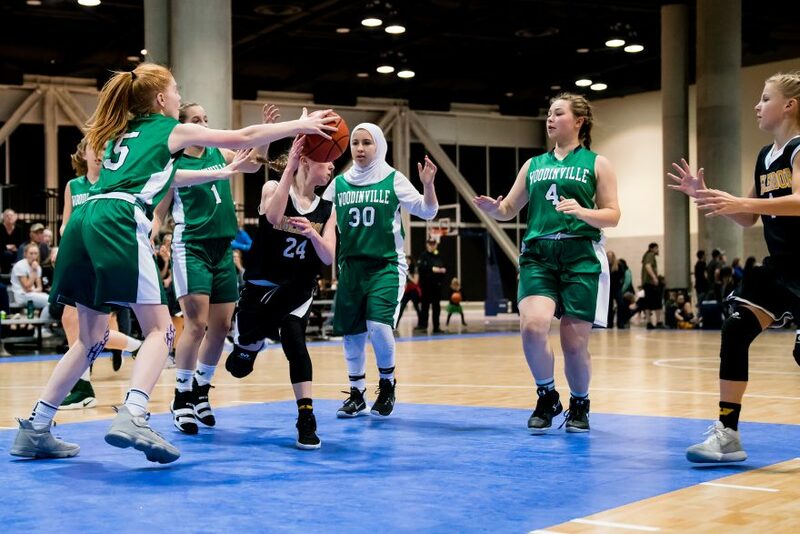 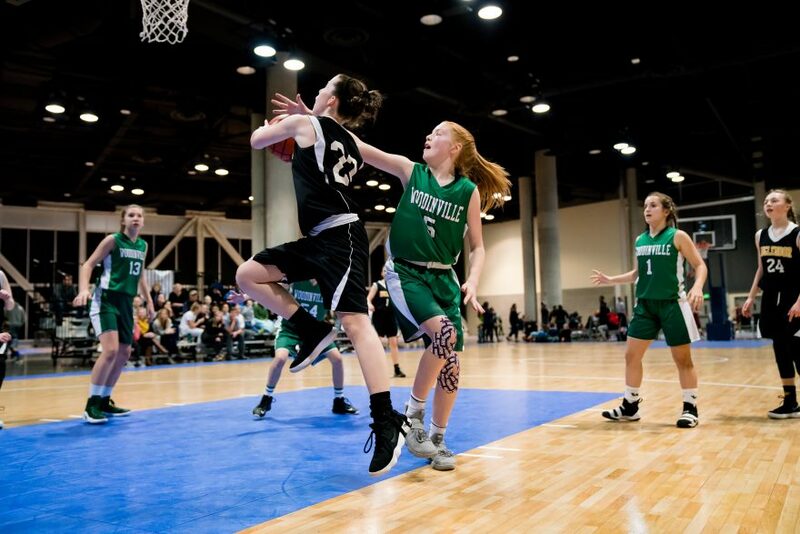 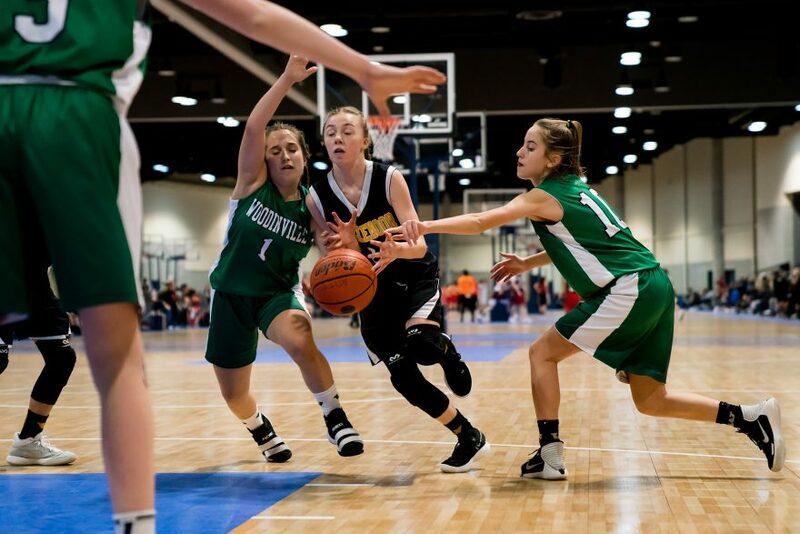 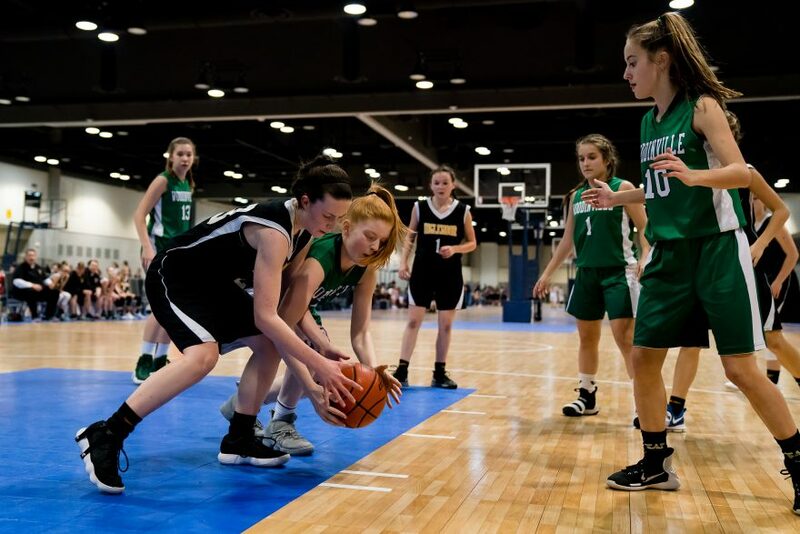 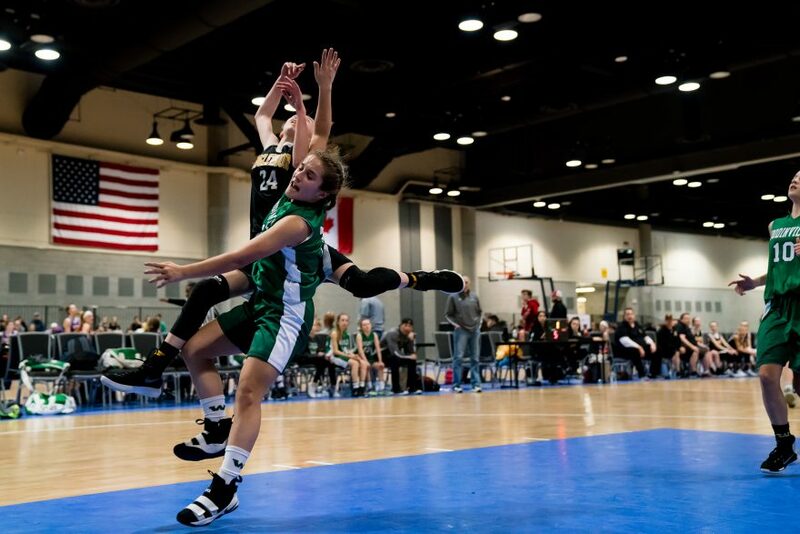 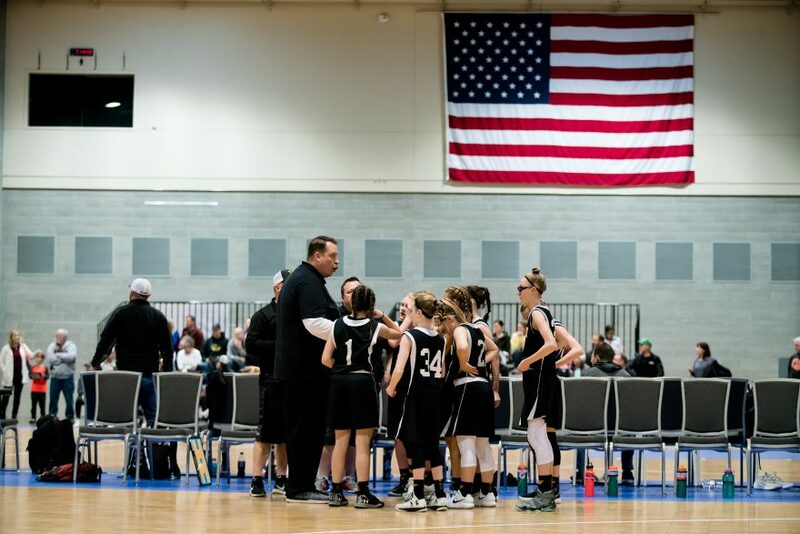 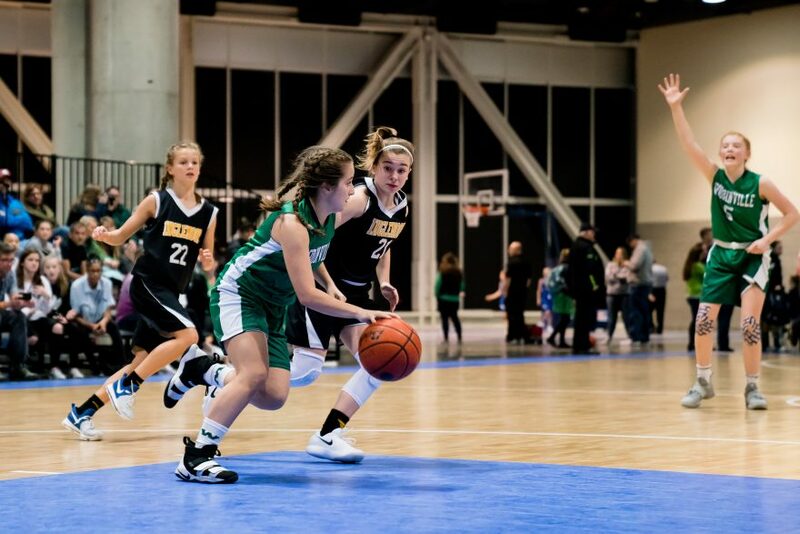 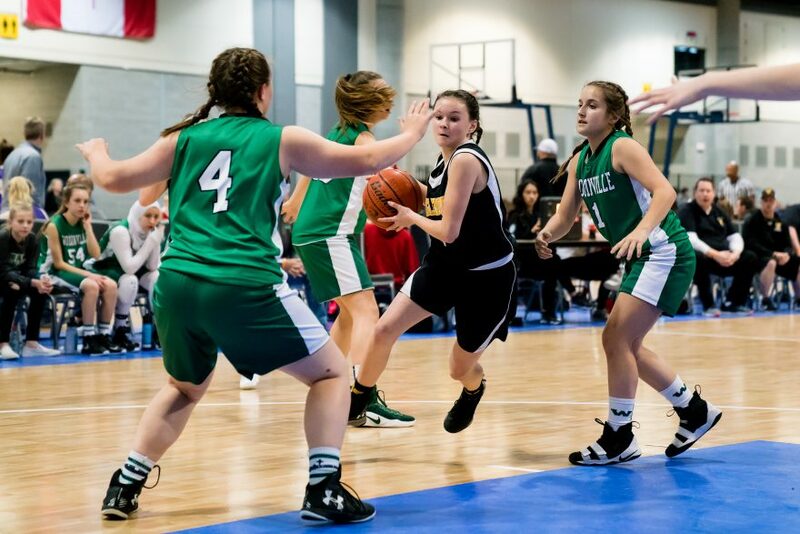 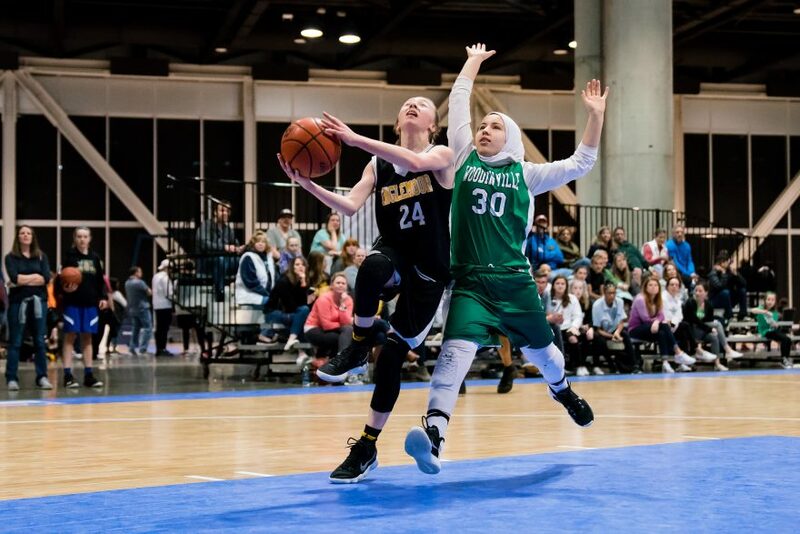 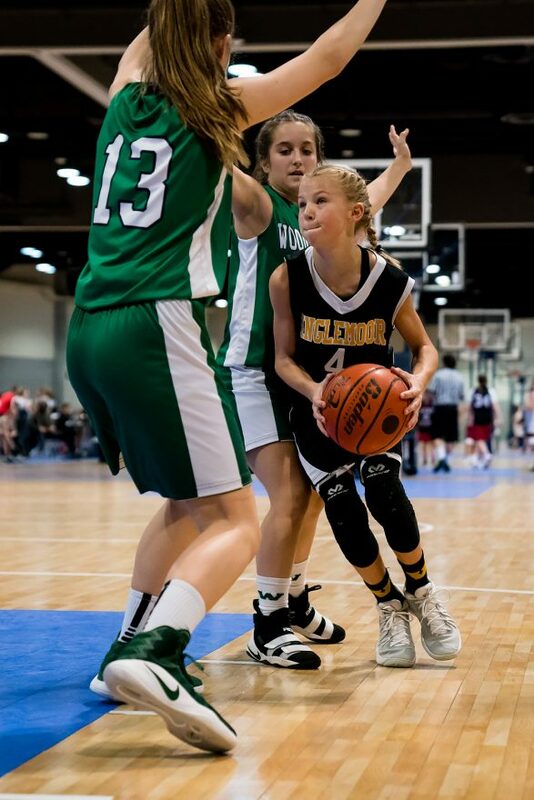 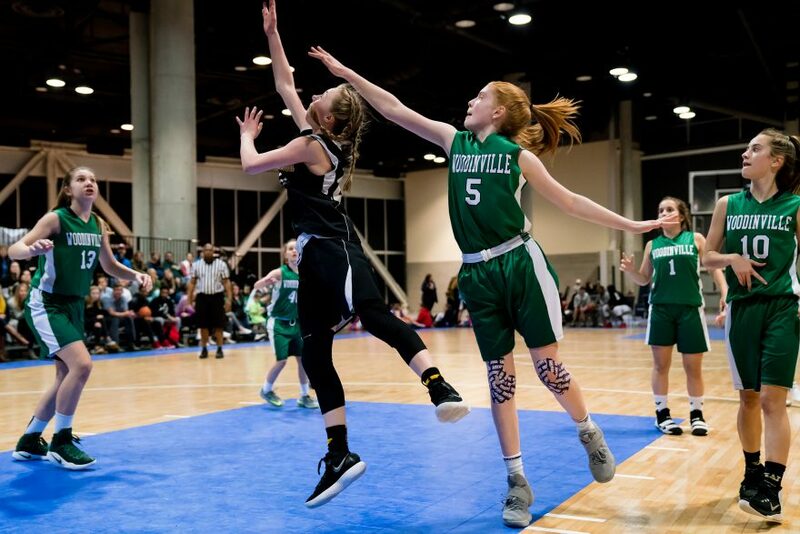 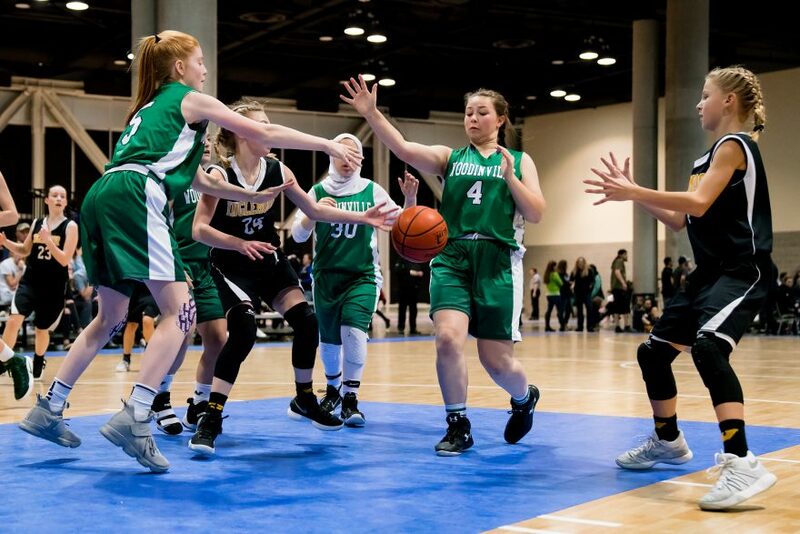 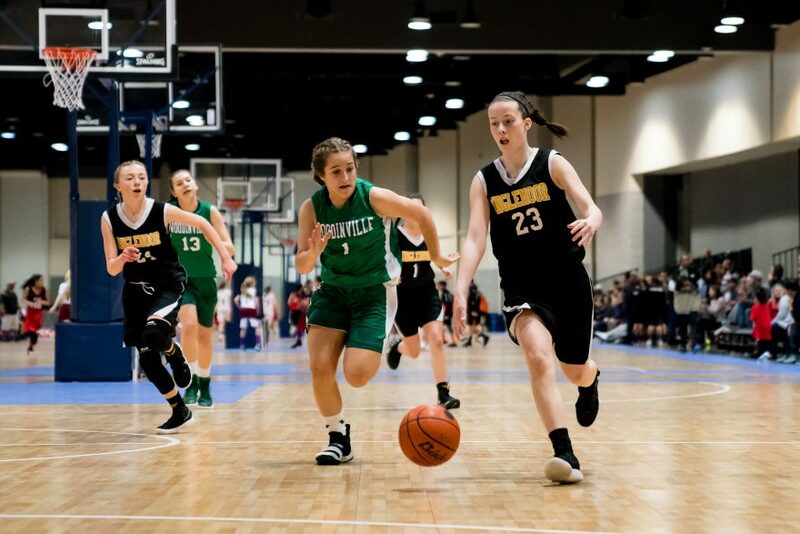 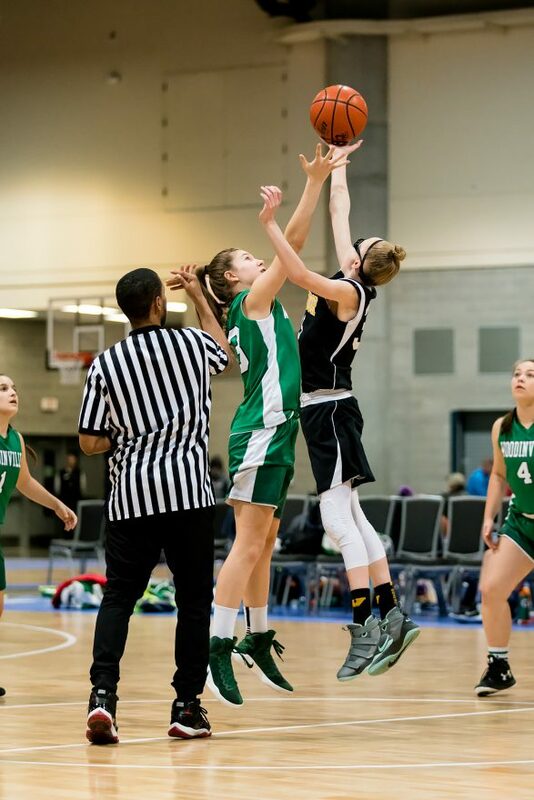 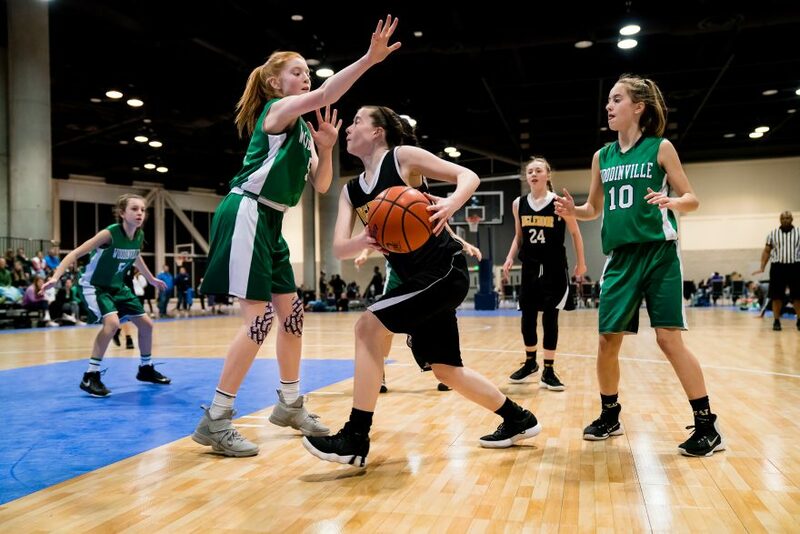 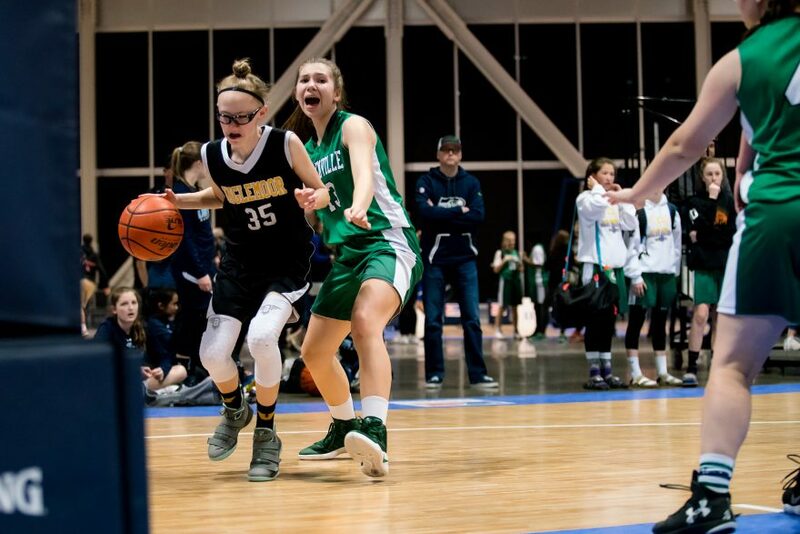 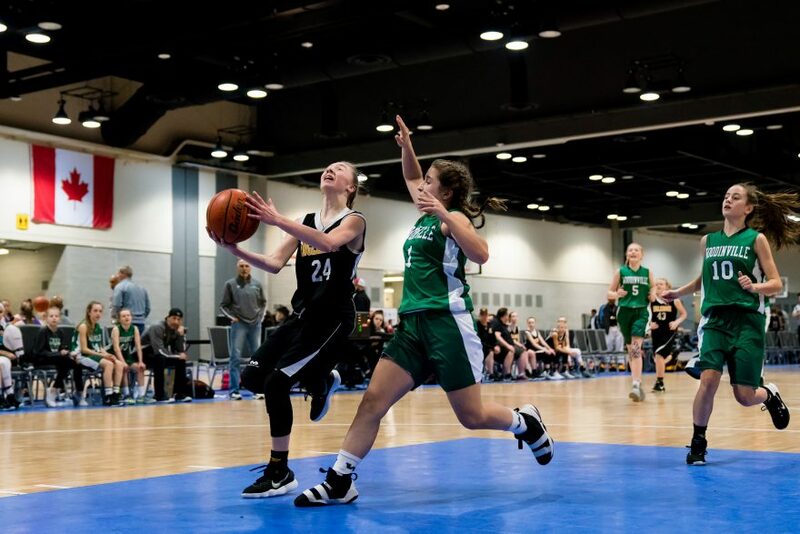 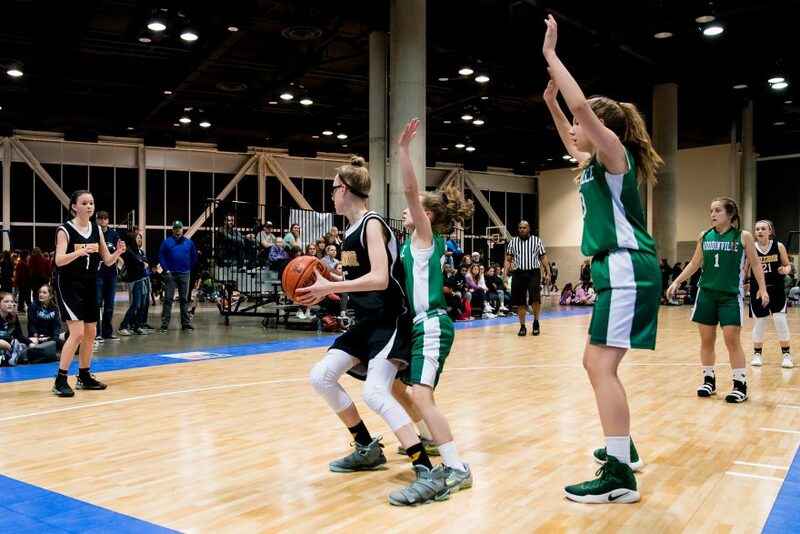 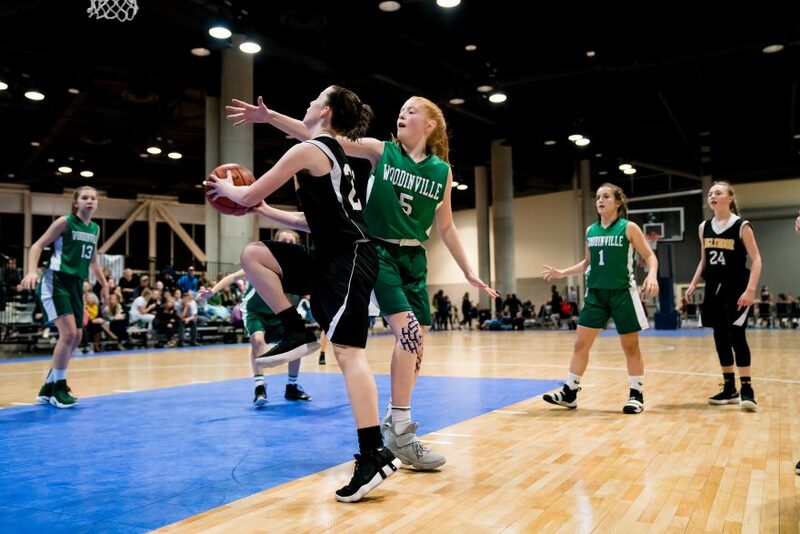 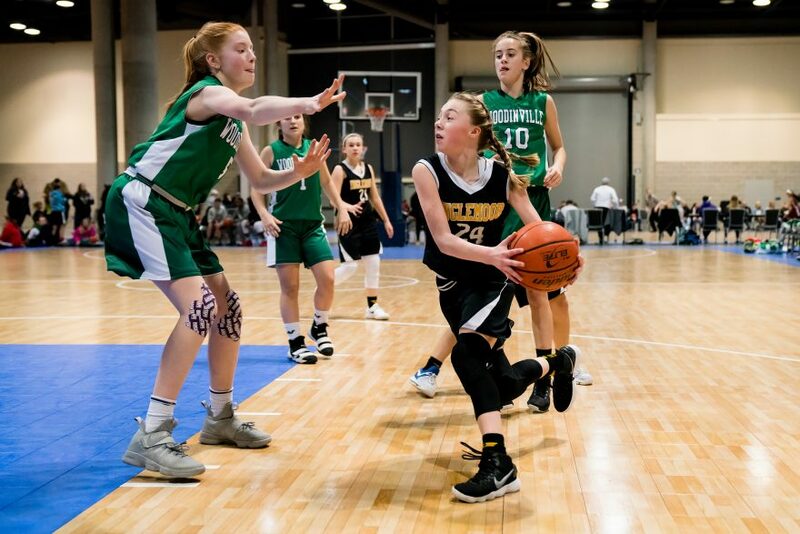 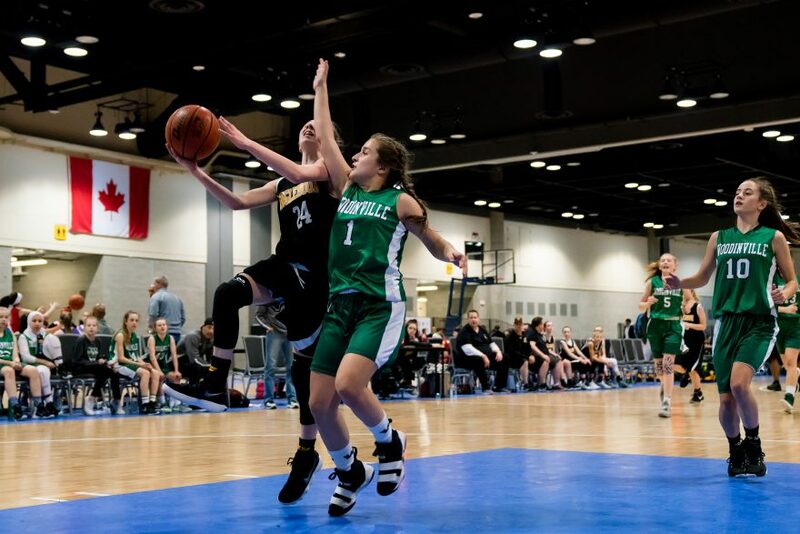 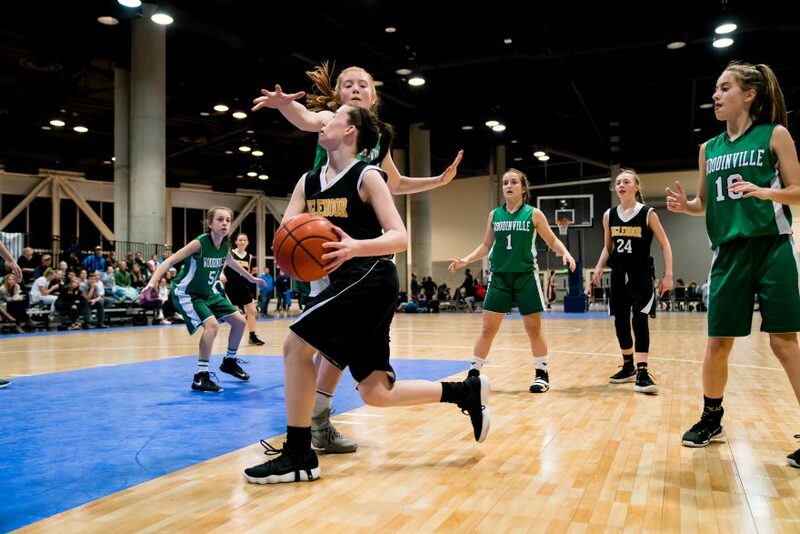 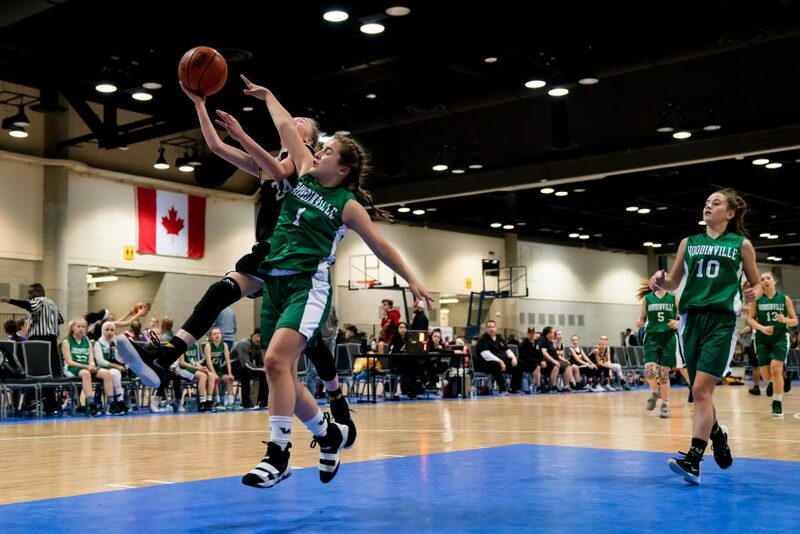 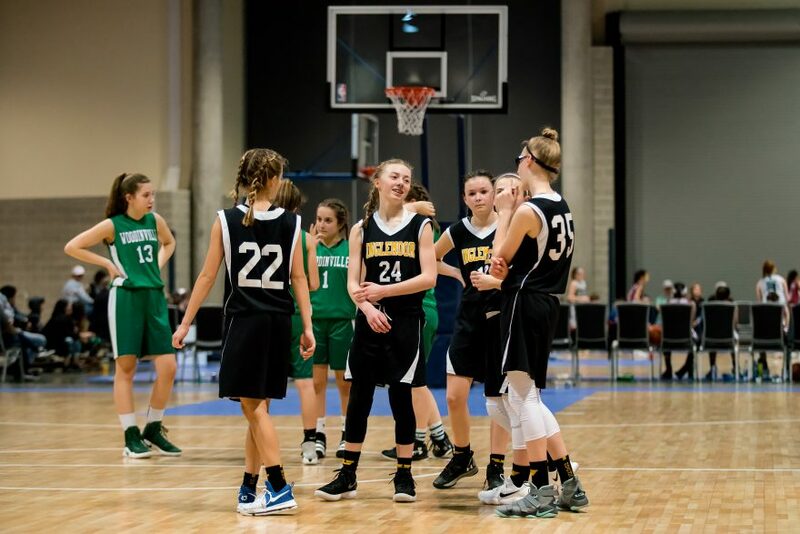 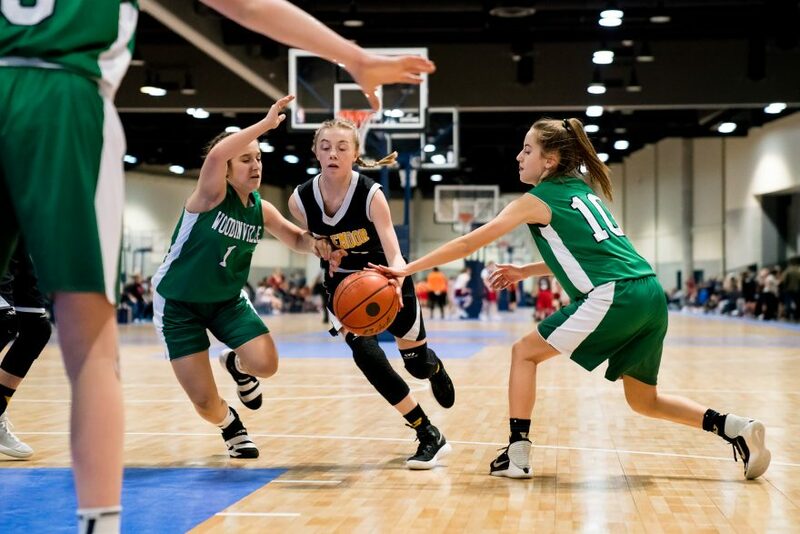 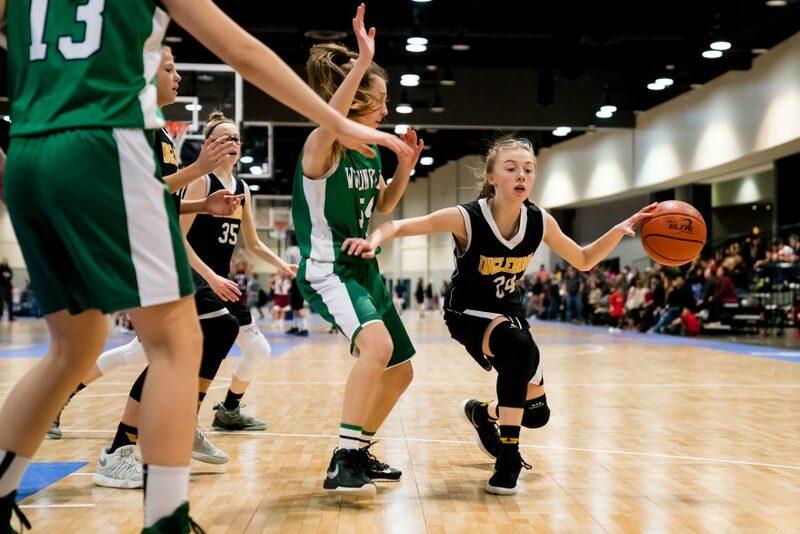 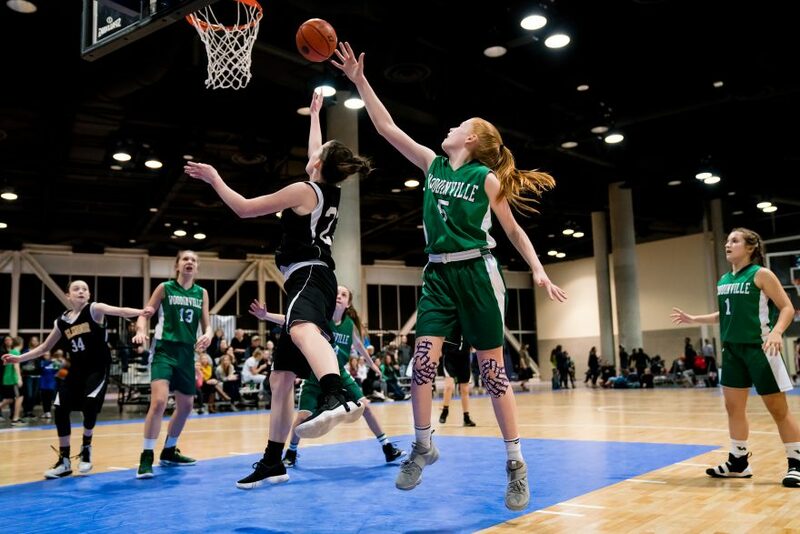 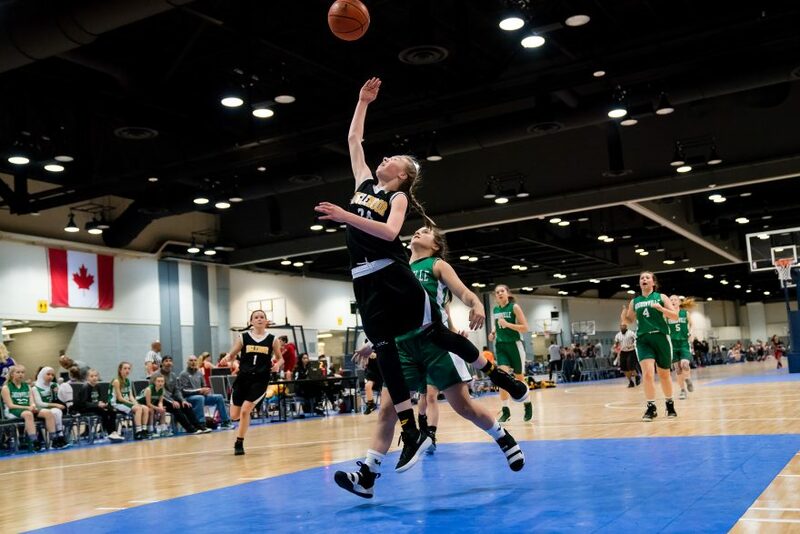 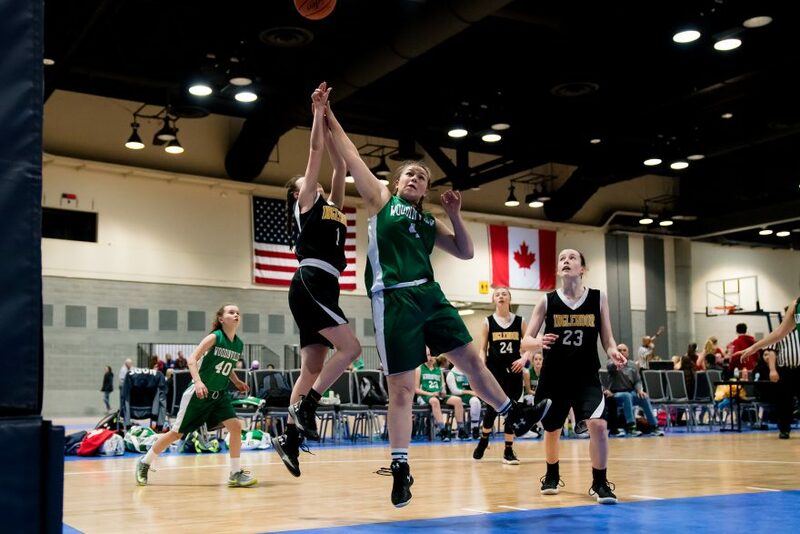 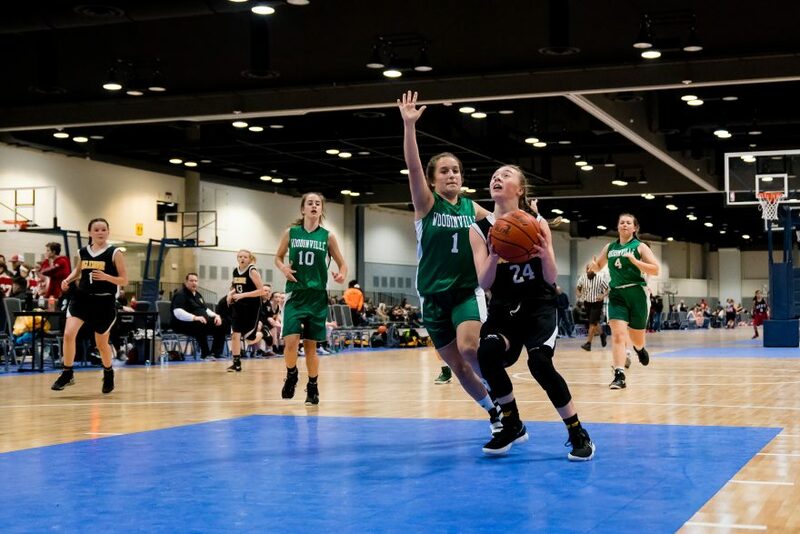 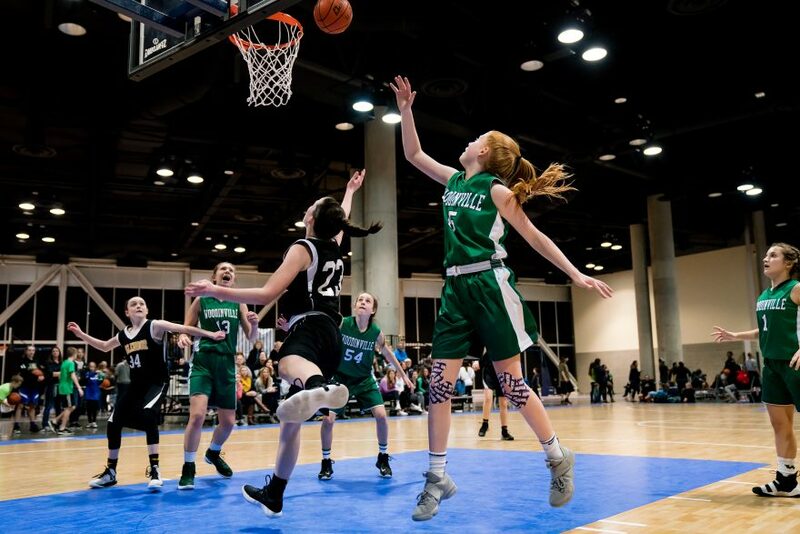 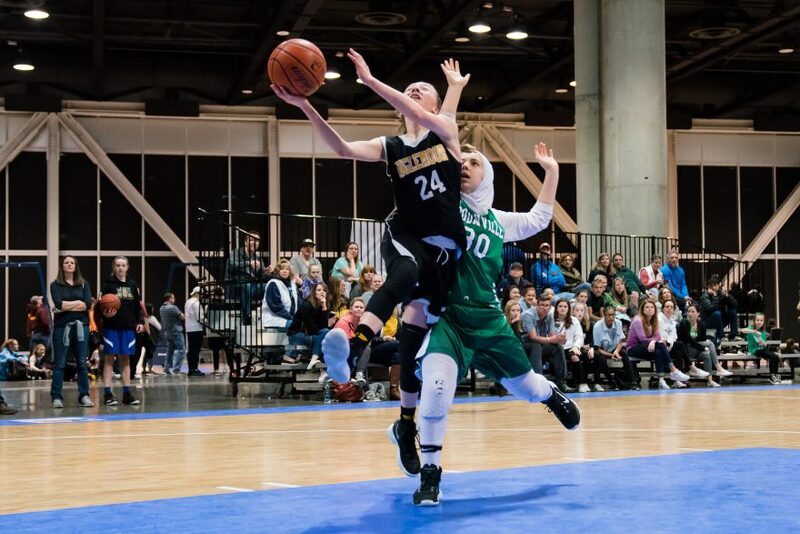 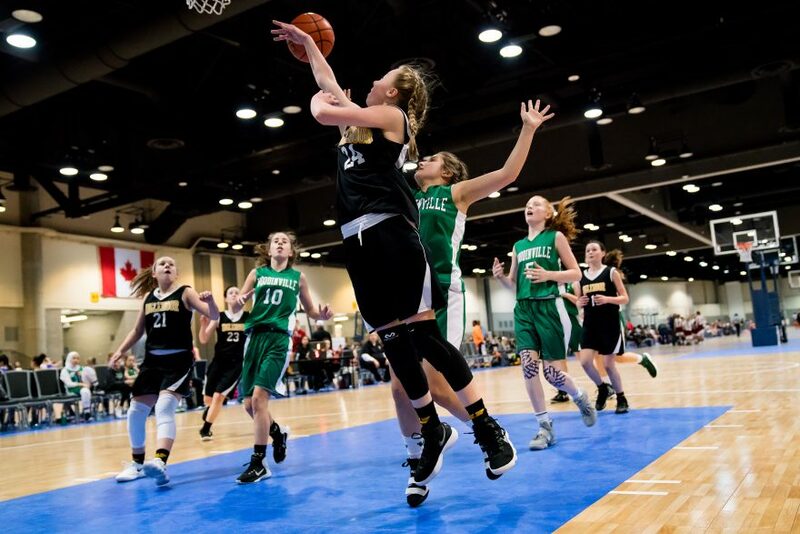 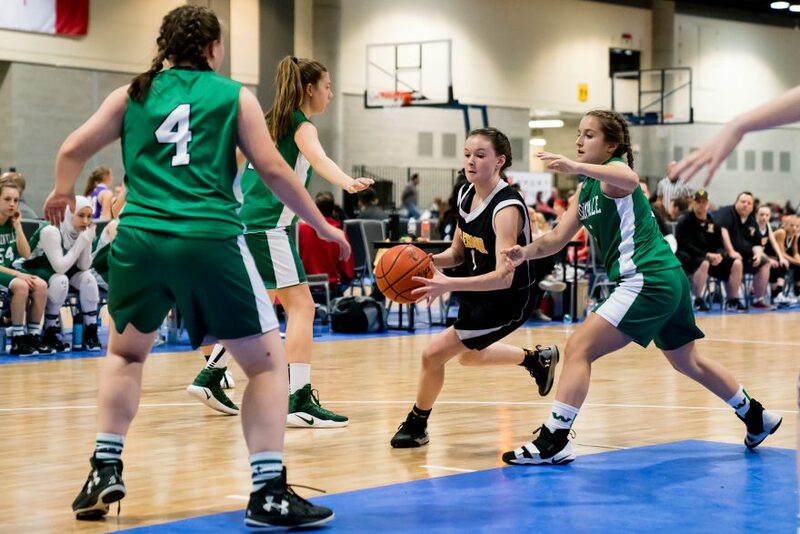 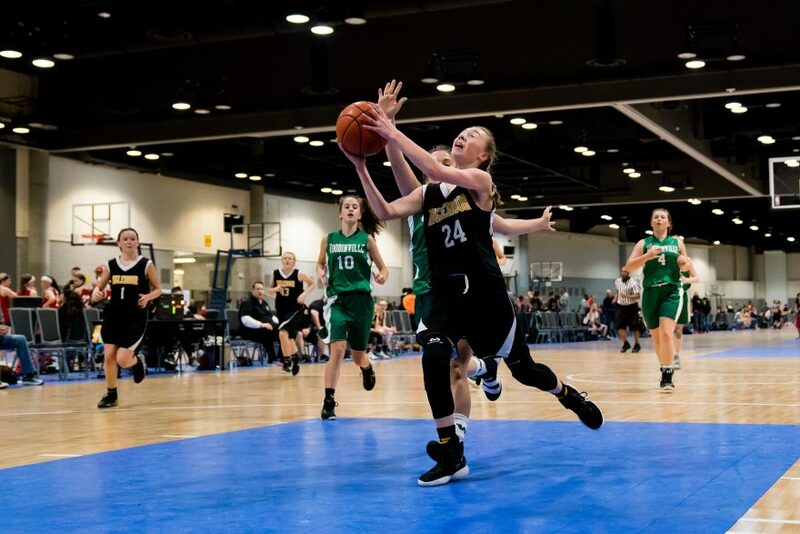 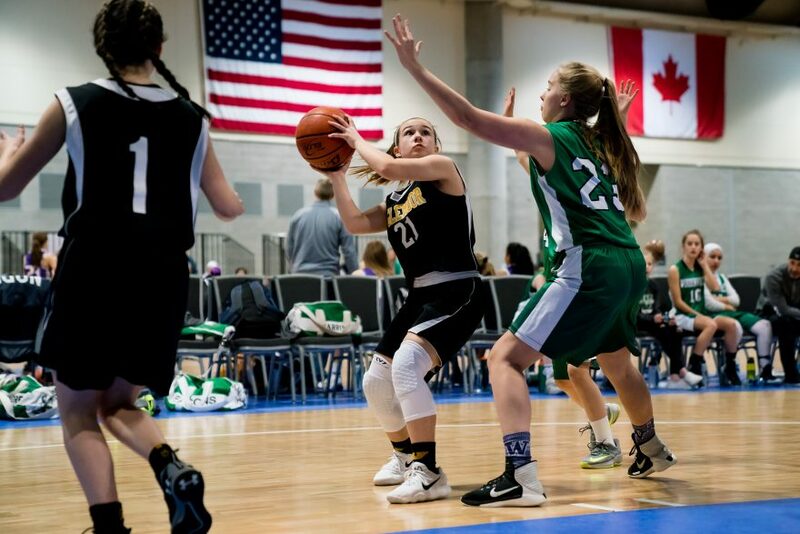 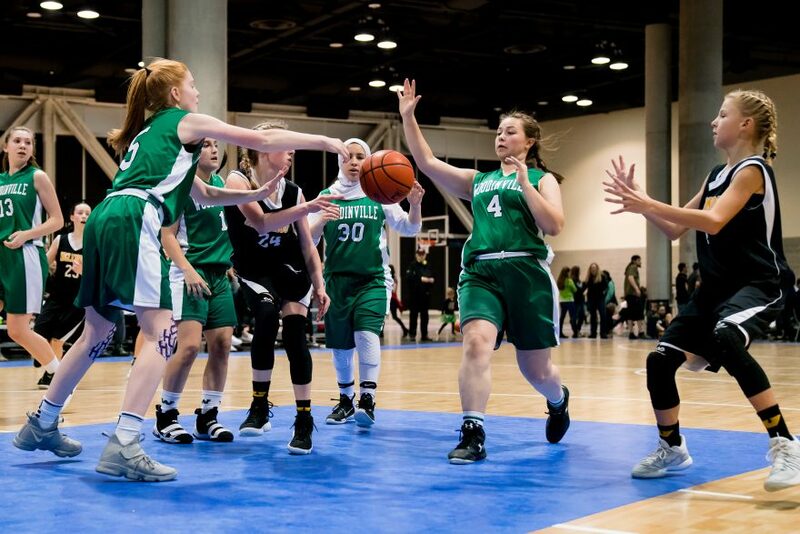 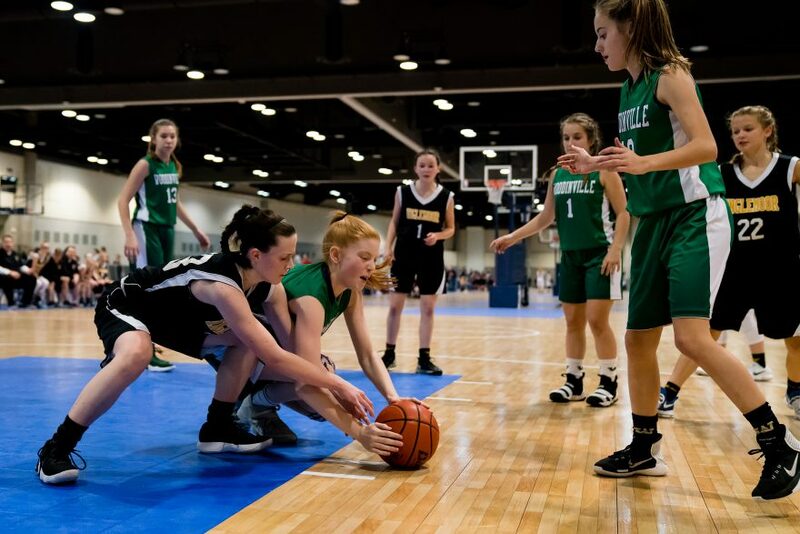 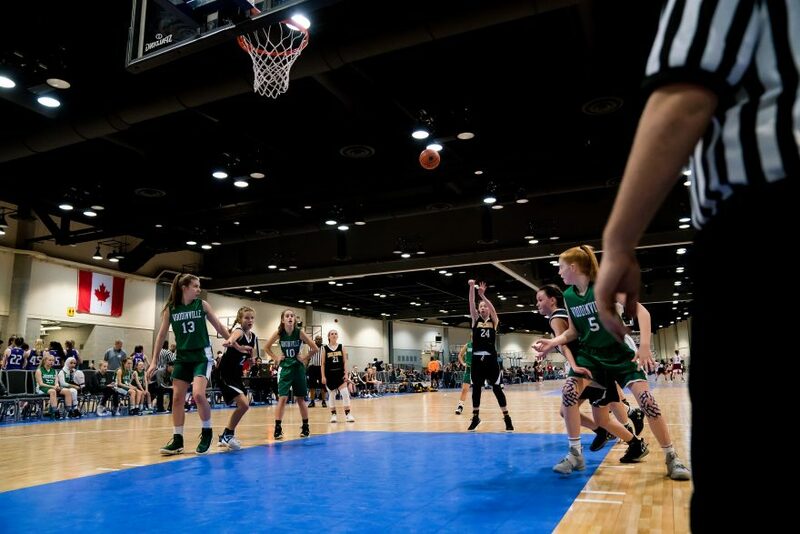 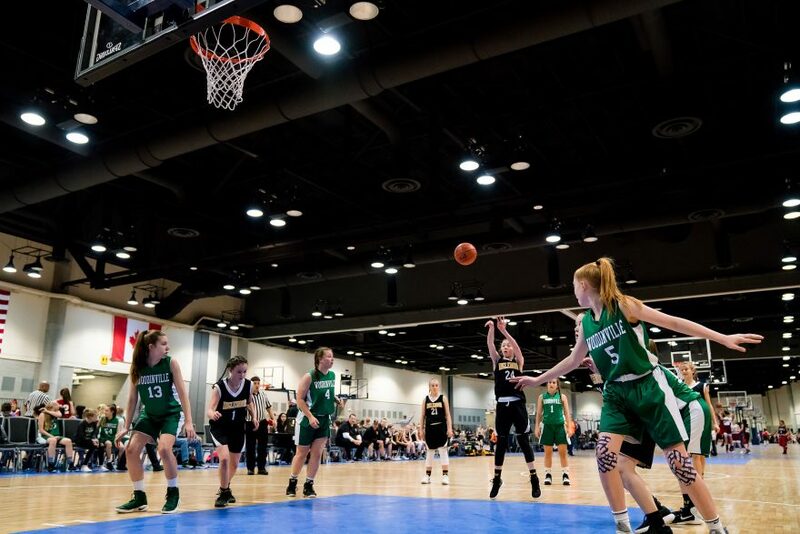 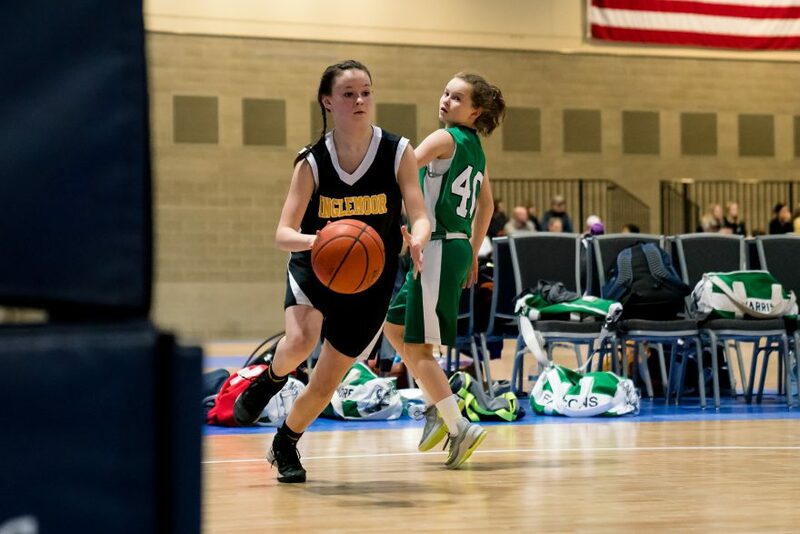 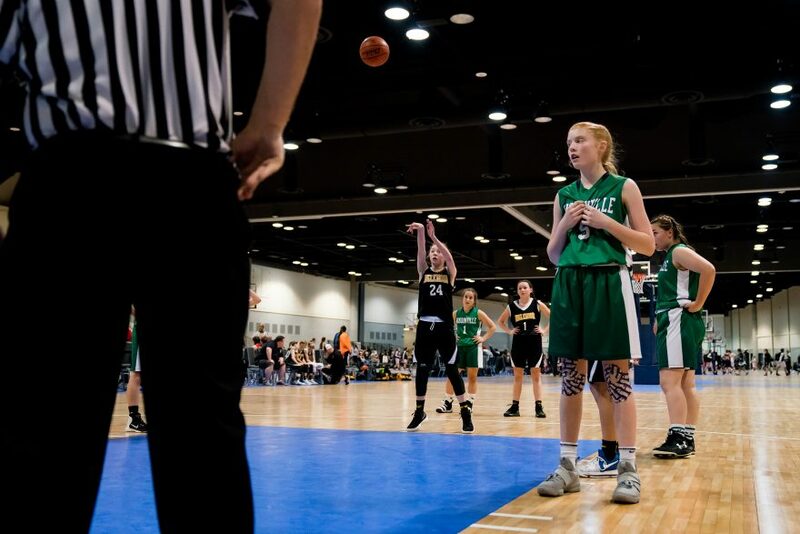 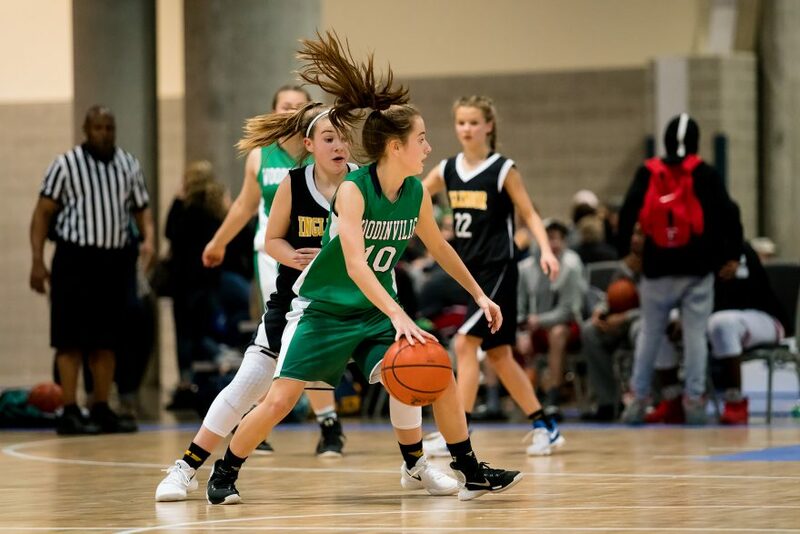 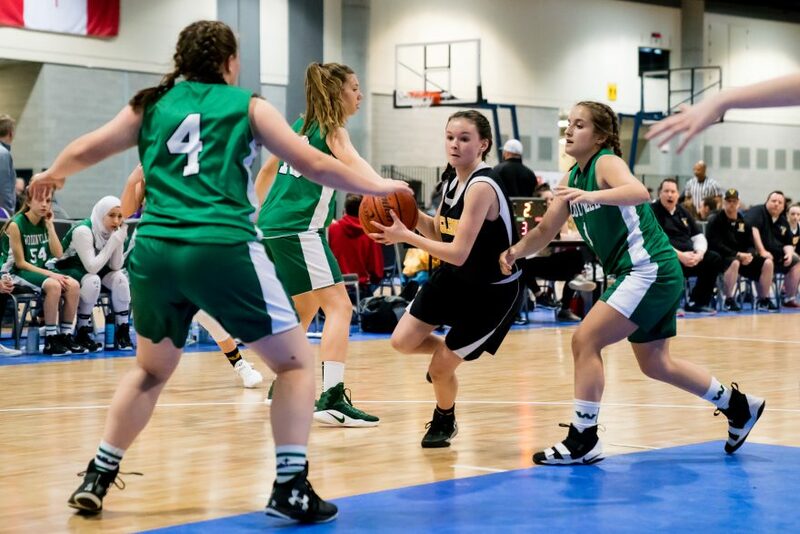 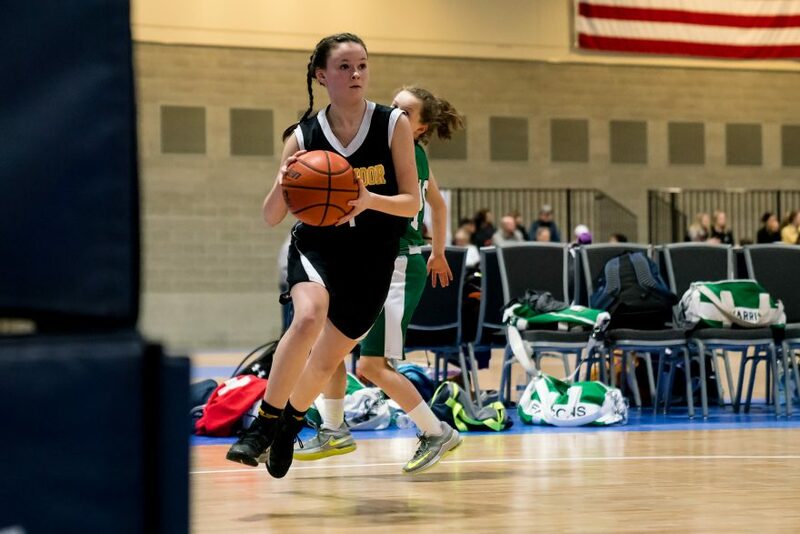 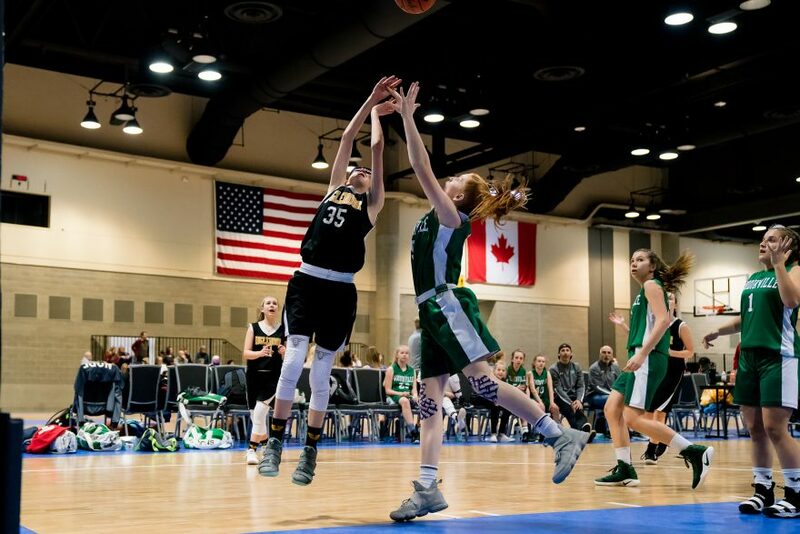 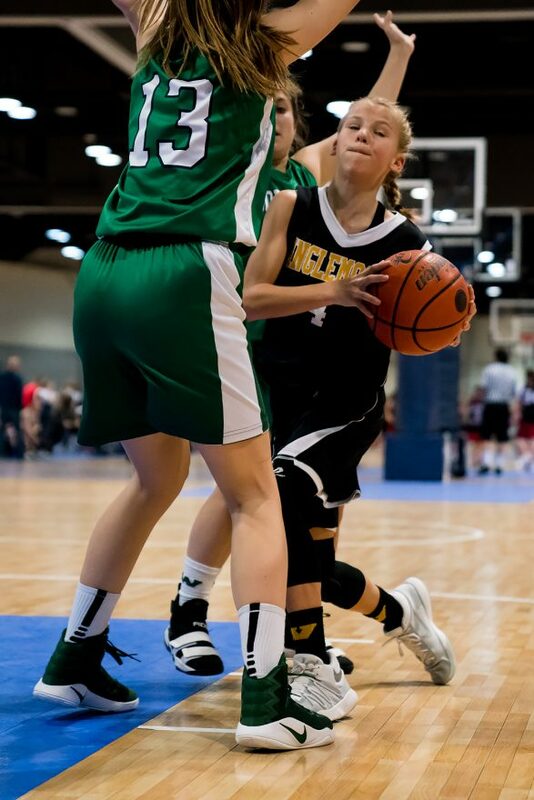 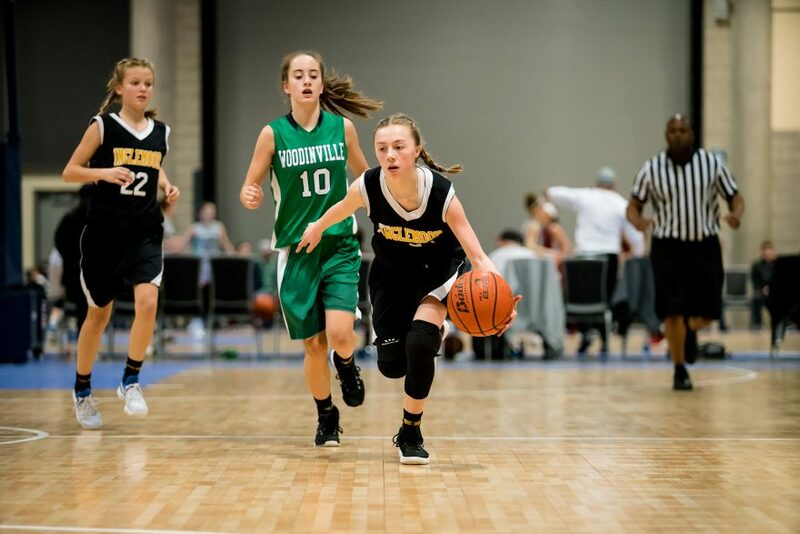 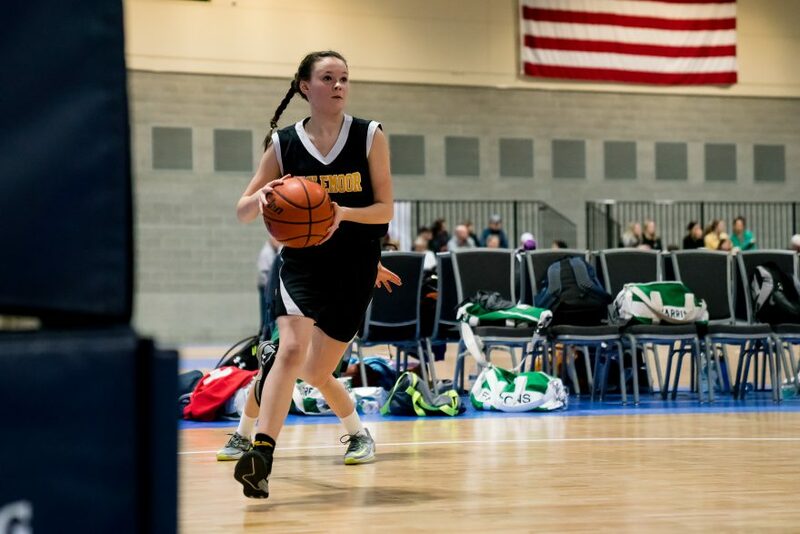 On Saturday evening, the Woodinville Lady Falcons met Vikings on one of the dozen courts checkered across the floor of the Spokane Convention Center. 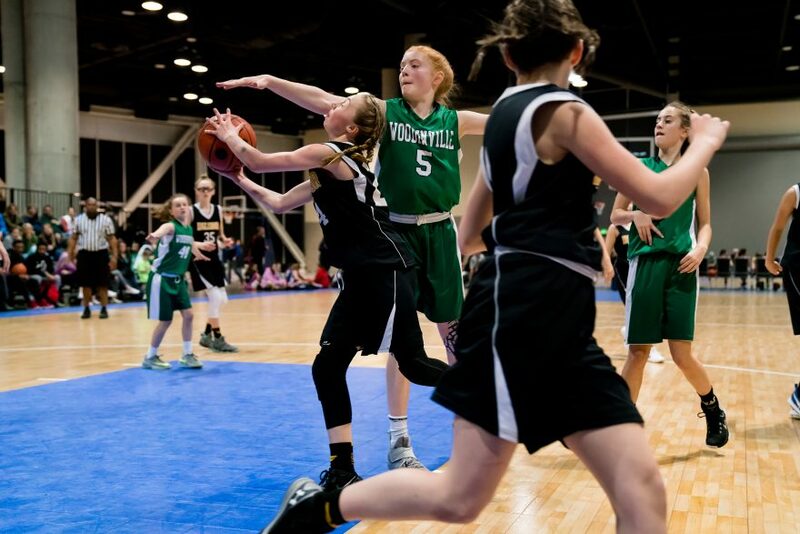 Last November, these two teams met and the Vikings won in an unusually low-scoring game (19-15), and it appeared during the first half that we were in for another close battle-of-the-defenses. 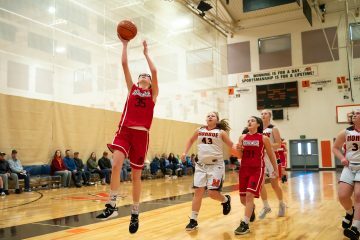 After the first eleven minutes of the game, the Viking’s #1 lofted in her layup to tie the game at 10-10, and although the Falcons pulled ahead in the final minutes of the half, the difference was still just a single shot coming out of halftime (13-15). 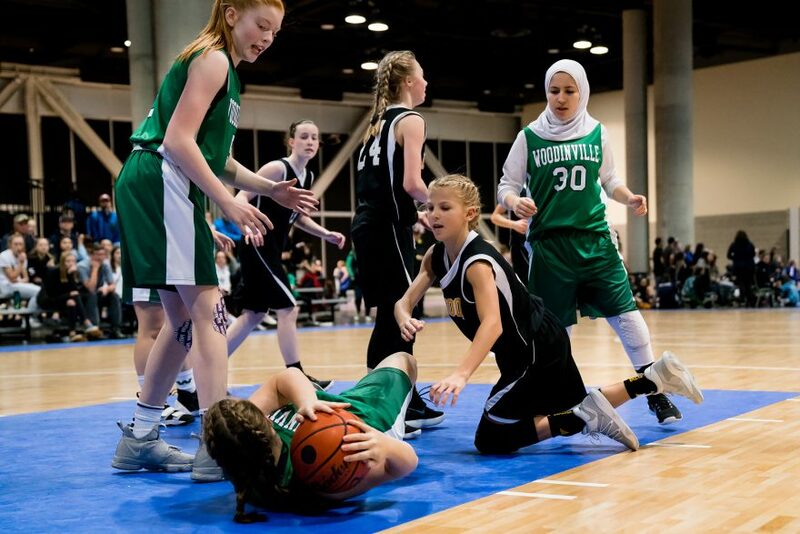 In the second half, though, the Falcons built a real lead. 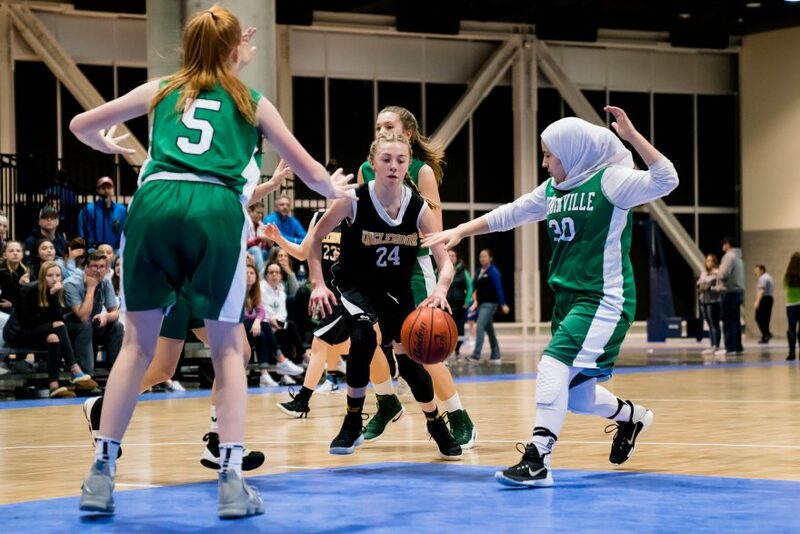 With four minutes left in the game, Inglemoor trailed by eleven points, 22-33, and they were only able to close the gap by two points before the buzzer. 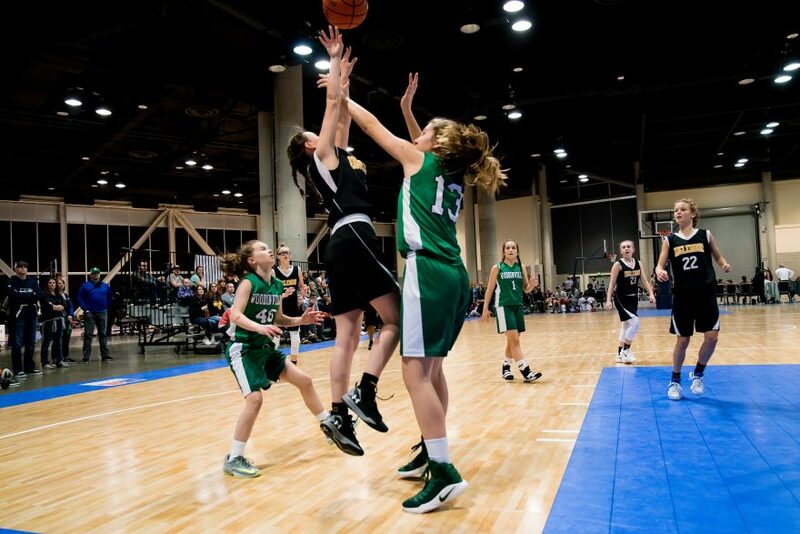 Final Score: 30-39, Falcons win.